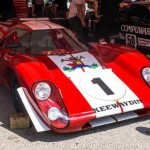 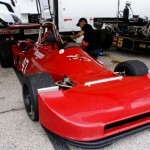 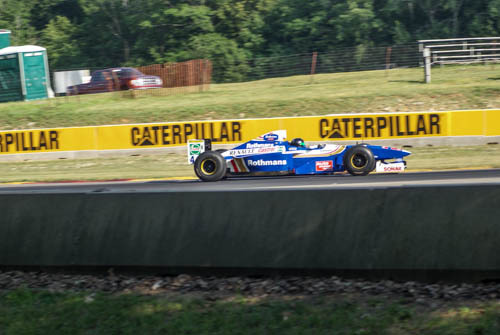 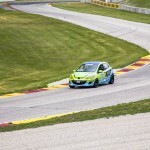 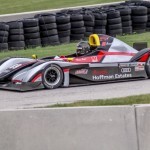 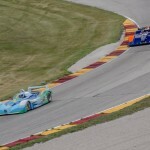 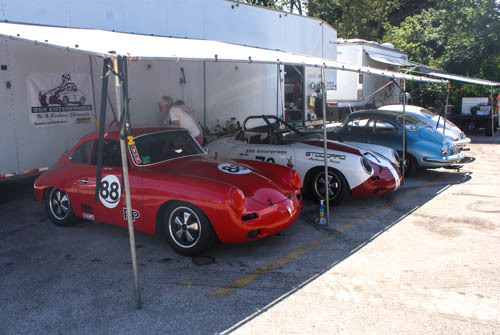 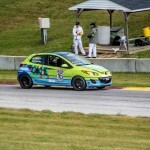 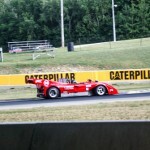 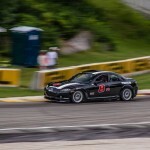 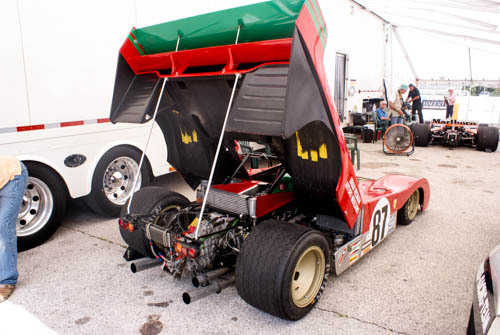 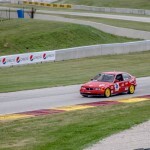 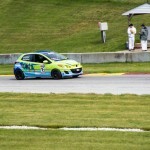 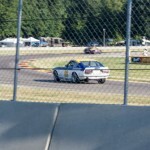 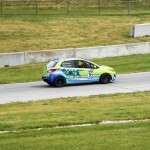 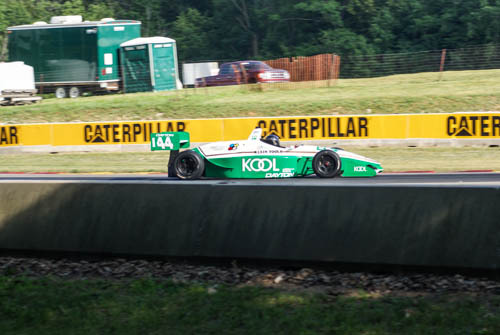 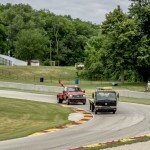 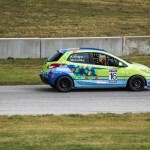 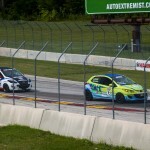 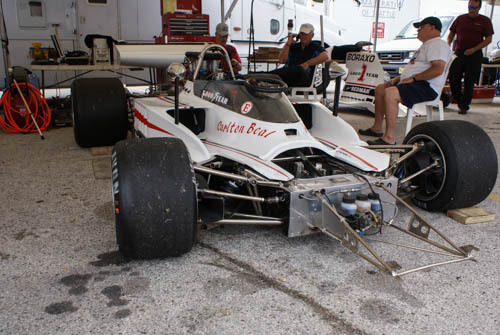 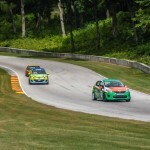 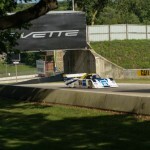 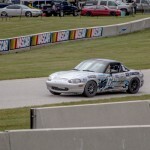 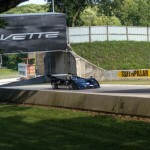 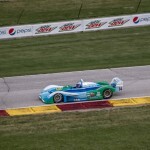 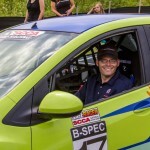 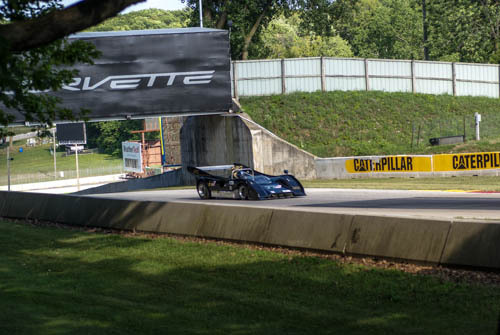 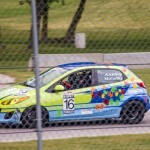 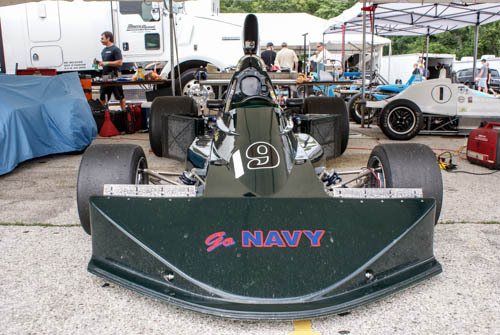 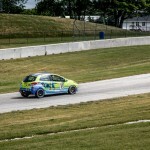 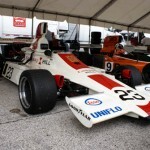 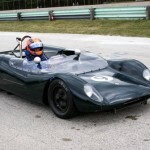 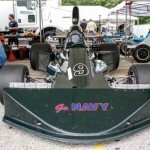 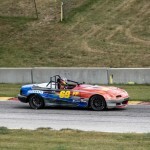 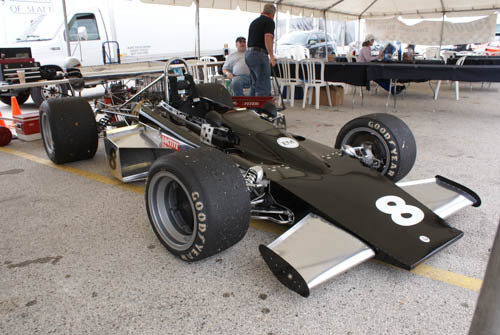 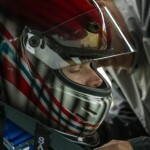 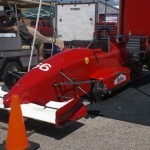 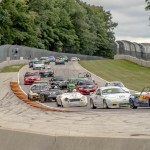 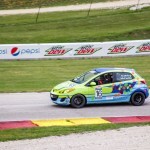 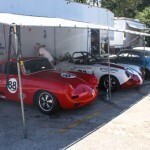 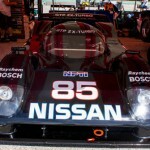 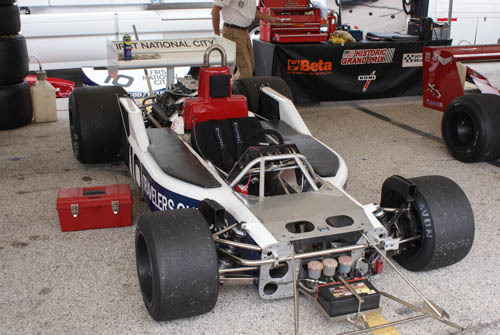 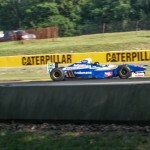 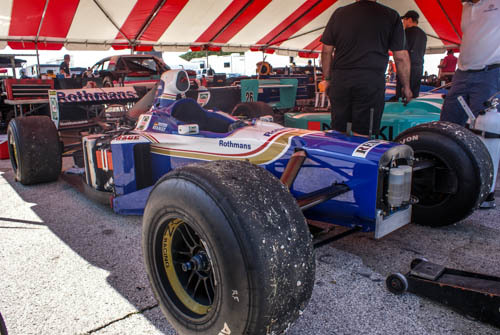 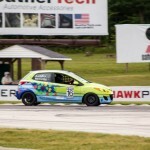 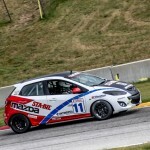 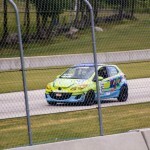 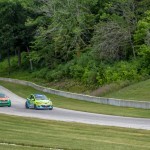 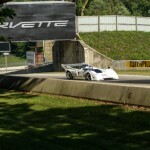 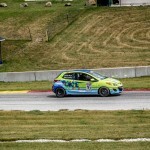 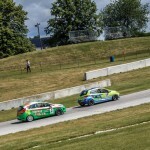 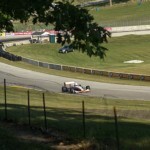 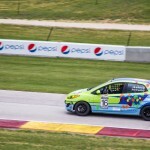 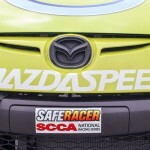 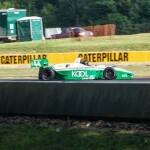 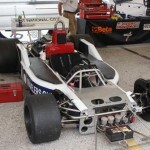 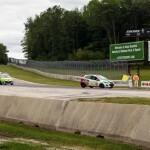 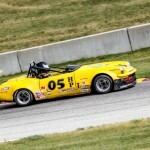 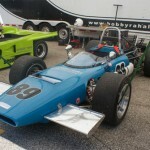 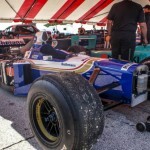 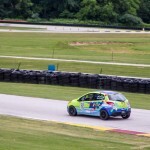 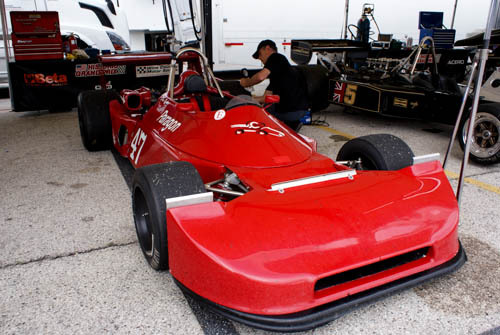 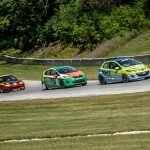 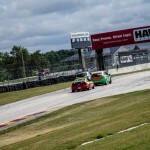 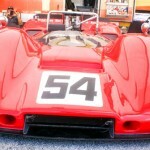 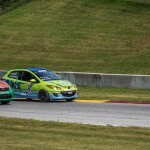 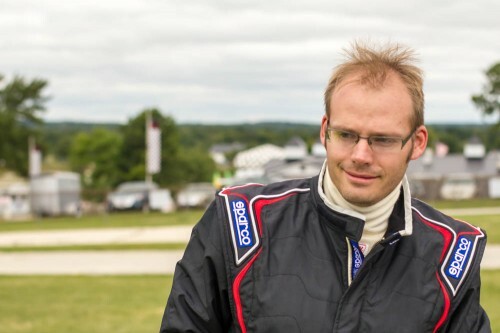 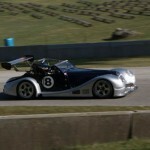 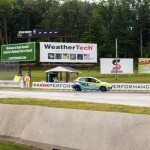 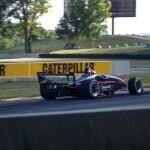 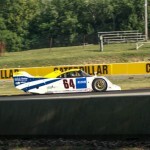 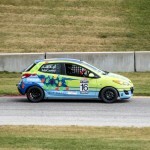 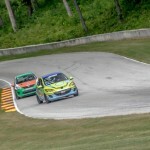 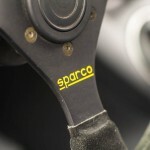 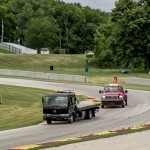 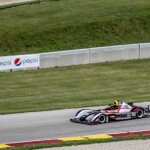 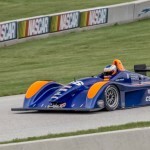 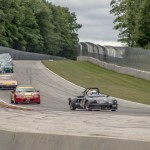 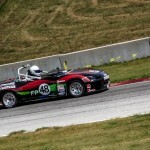 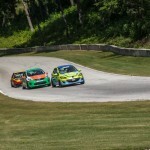 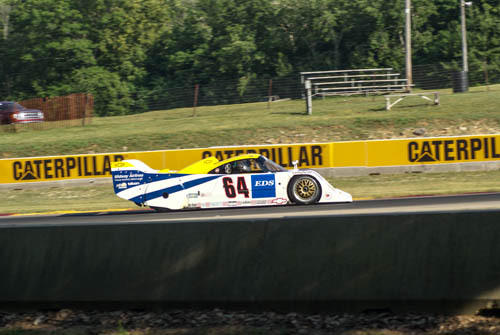 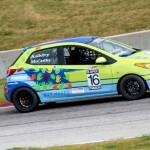 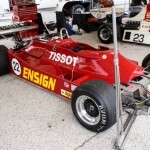 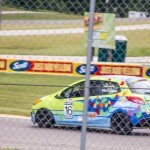 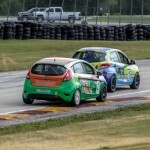 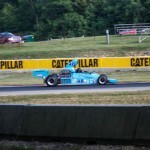 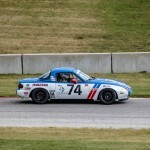 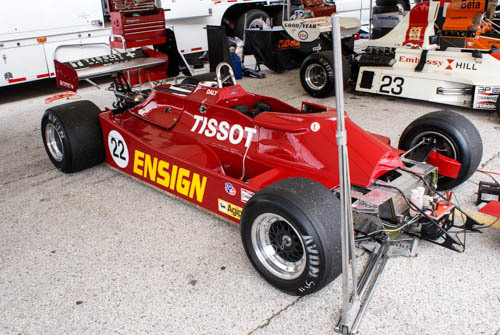 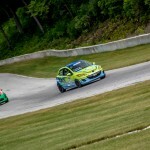 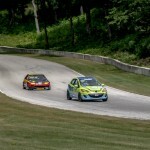 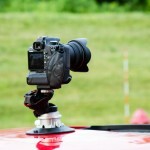 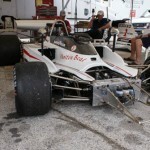 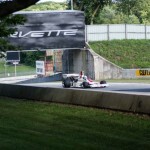 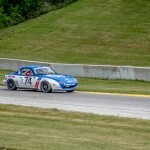 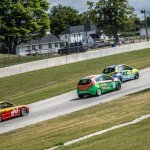 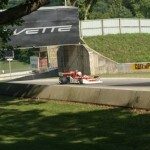 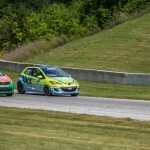 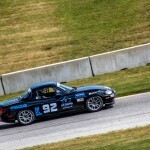 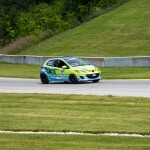 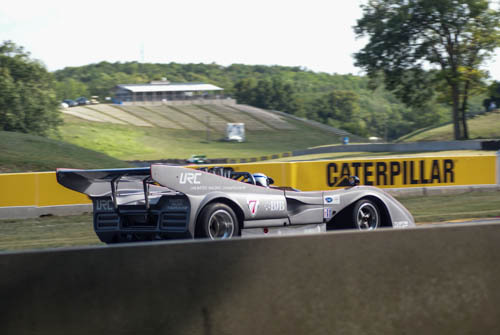 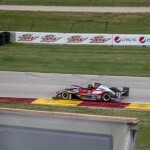 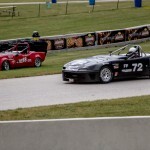 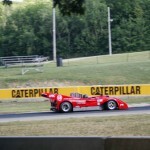 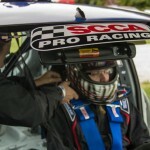 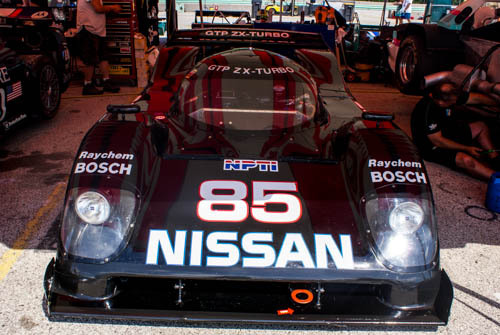 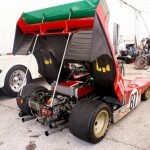 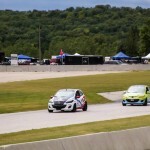 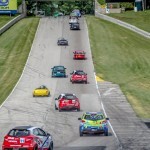 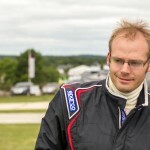 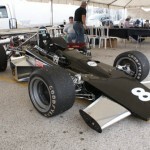 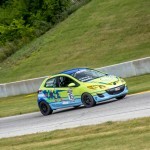 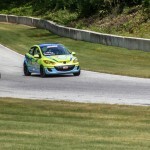 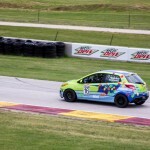 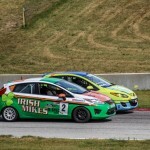 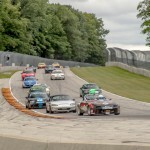 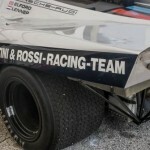 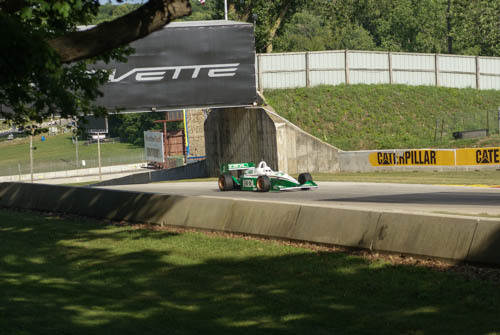 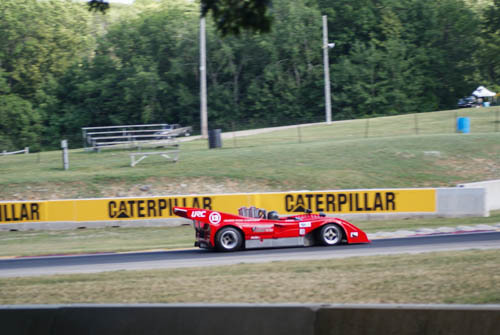 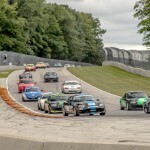 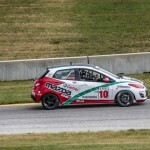 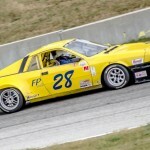 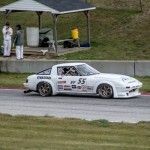 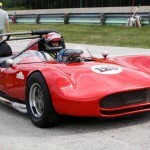 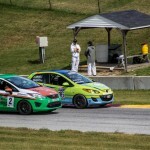 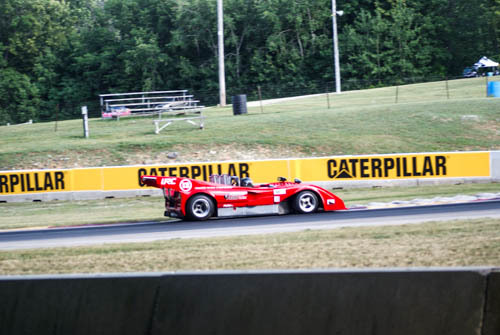 The Mazda2 B-Spec Racecar Makes an Appearance at Road America! 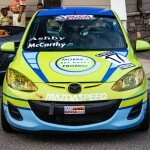 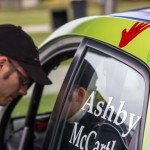 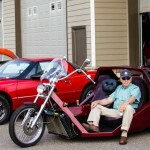 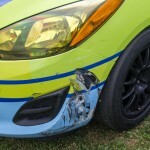 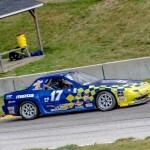 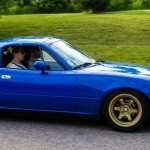 The Morrie’s Mazda/Miracles Of Mitch Mazda 2 made its second appearance this past weekend. 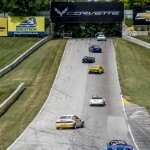 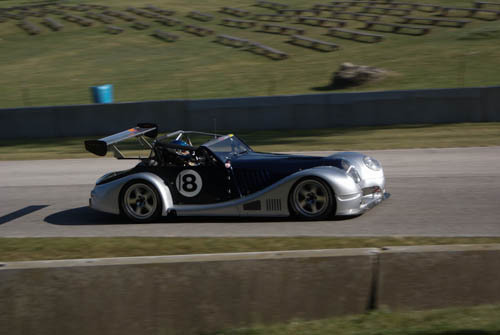 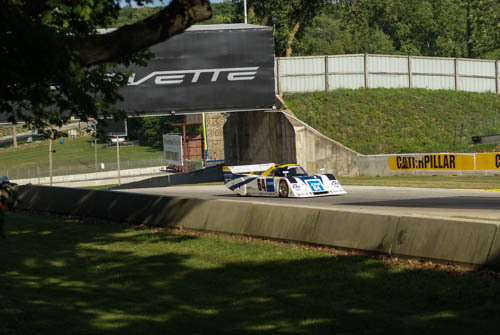 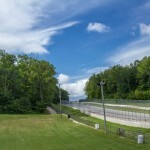 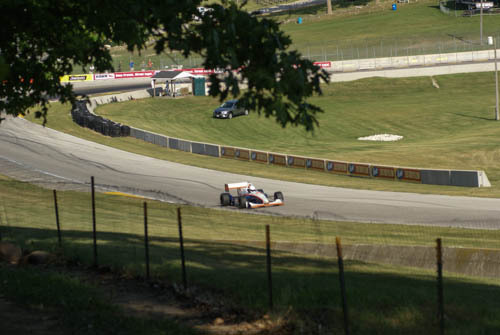 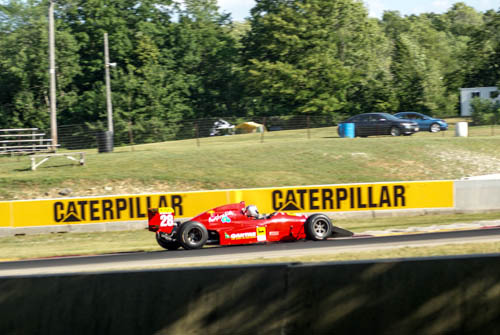 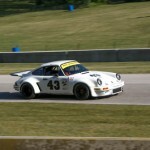 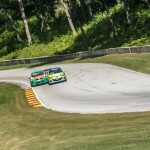 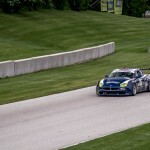 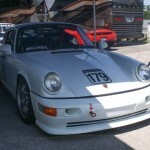 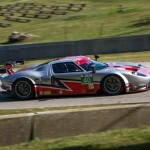 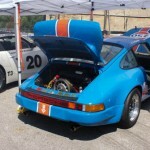 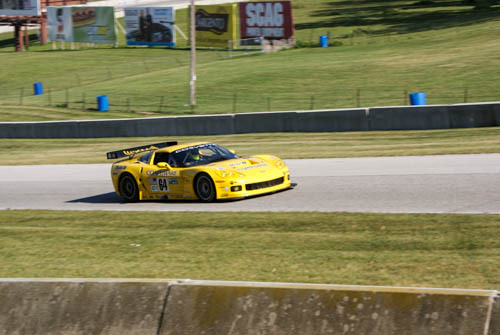 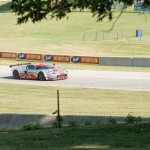 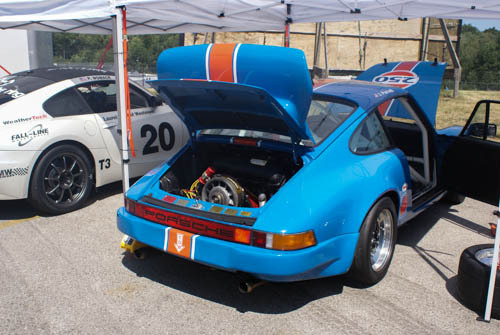 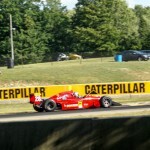 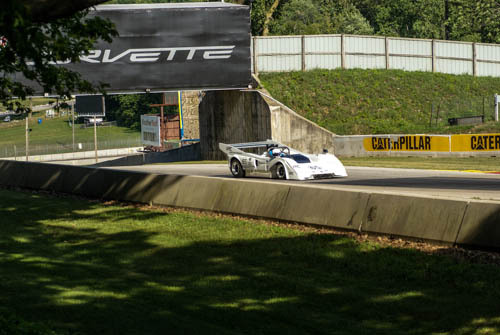 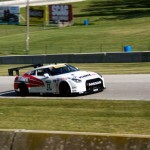 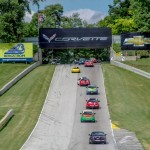 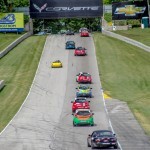 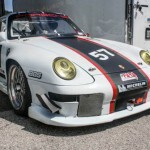 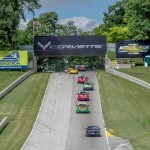 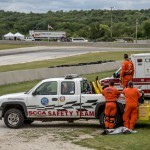 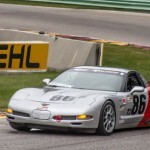 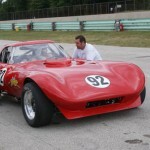 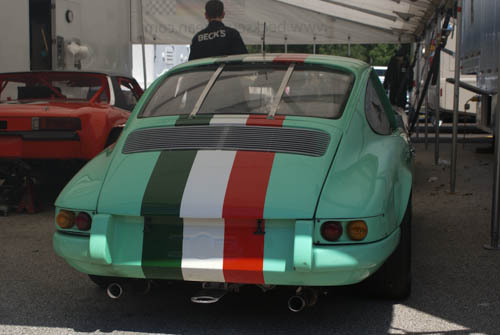 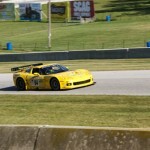 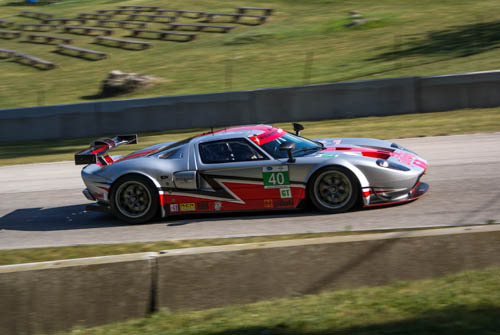 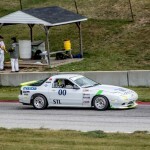 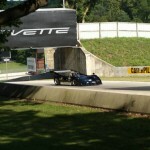 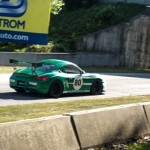 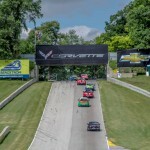 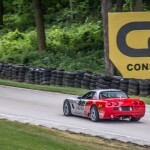 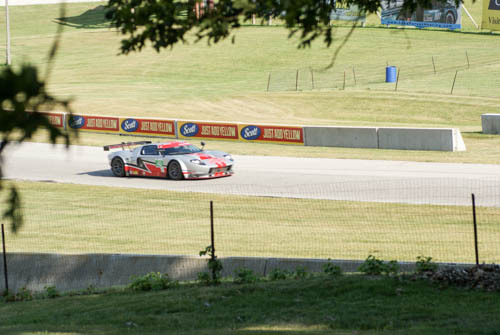 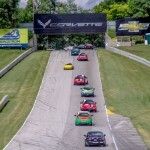 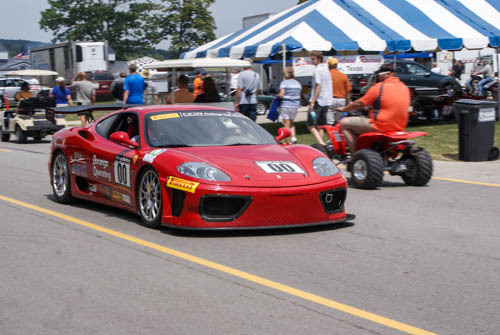 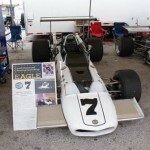 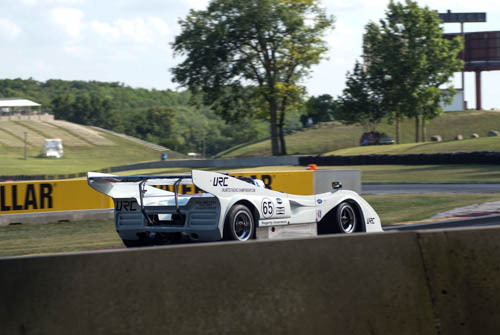 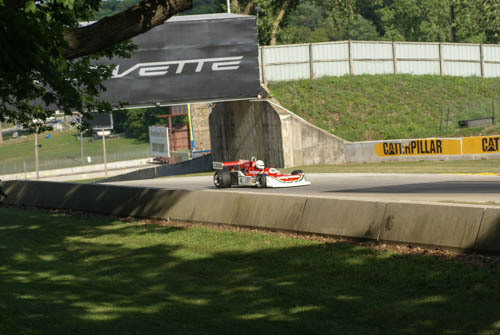 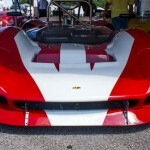 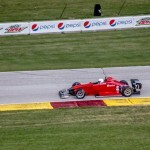 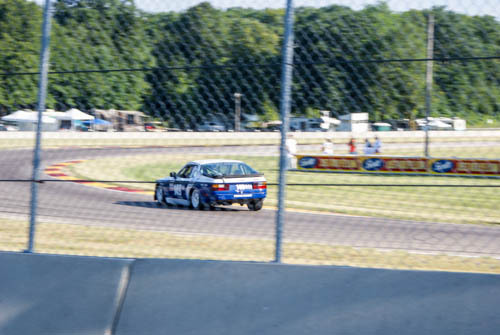 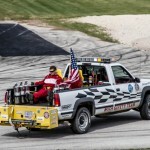 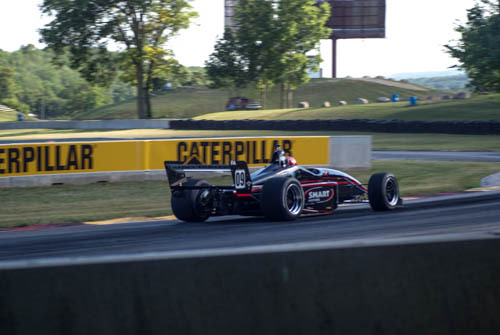 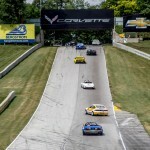 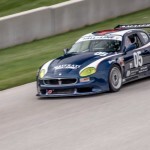 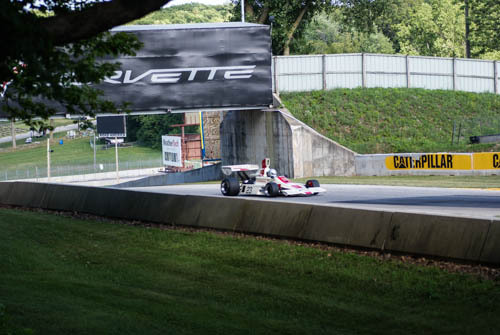 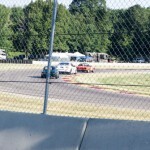 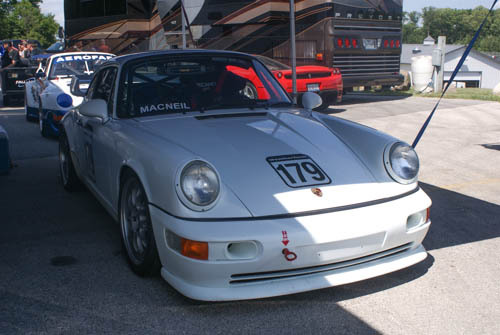 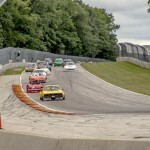 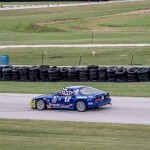 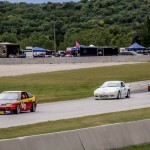 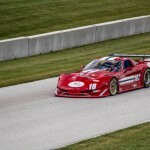 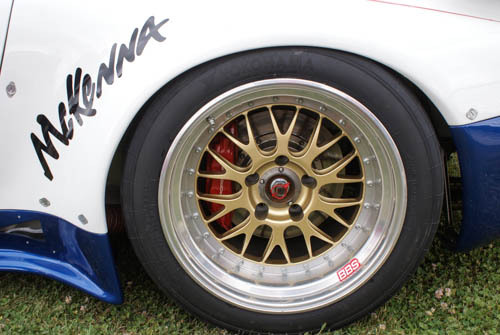 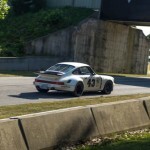 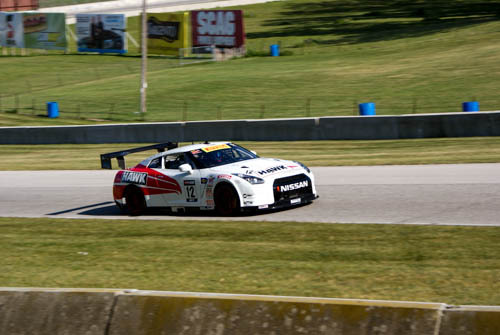 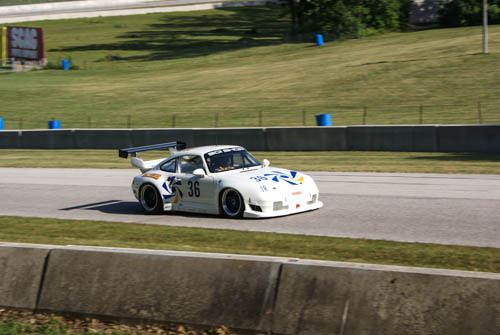 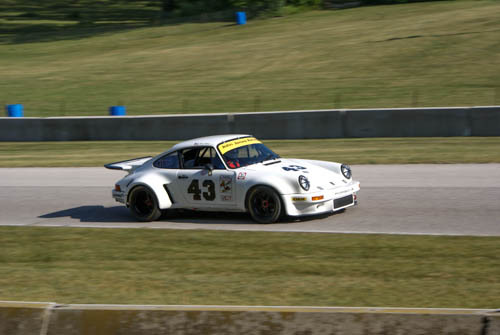 Many consider Road America to be the United States premier racetrack. 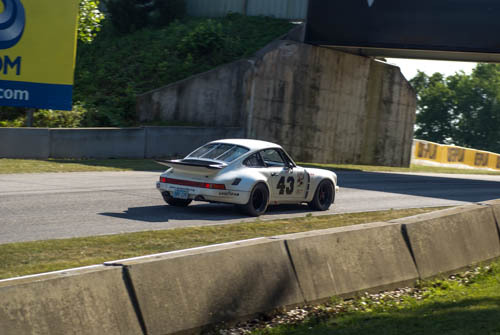 With its dramatic elevation changes and technical corners, it demands the best from both driver and car. 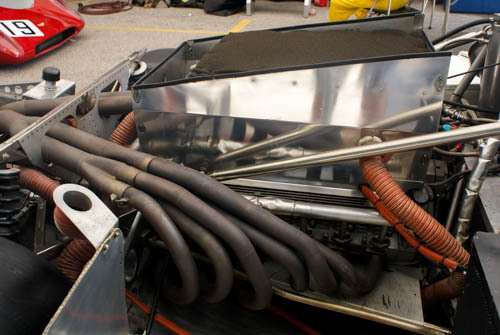 Then, stir in a couple long straights where maximum speed is obtained. 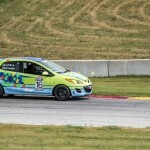 At Road America, our nimble and reliable little Mazda 2 routinely hit speeds well over one hundred miles per hour bringing home third place. 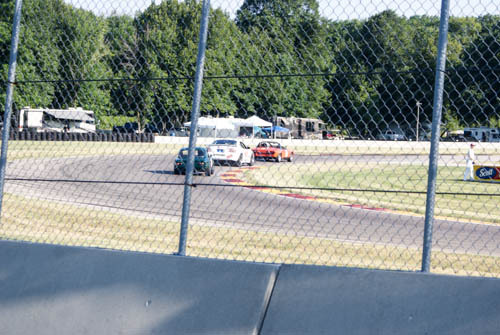 This was a particularly strong finish given that it is difficult for a single car to compete against a team of several cars as they can use each other for drafting and even bump drafting. 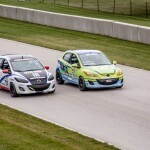 With Michael Ashby at the wheel, the Morrie’s Mazda/Miracles Of Mitch Mazda 2 broke up their formation to finish a very strong third. 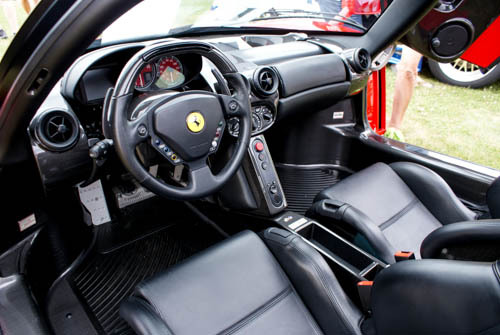 An engine control unit re-flash, now available, will give us some additional horsepower and a few more RPM’s at the top end. 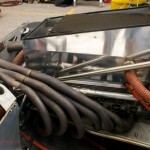 With these modest upgrades, we will improve on these already fantastic results. 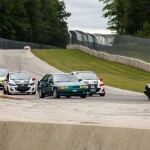 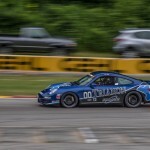 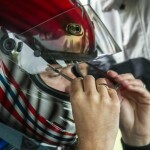 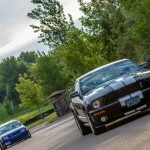 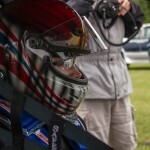 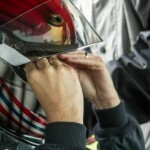 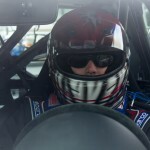 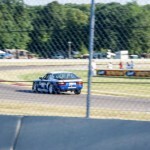 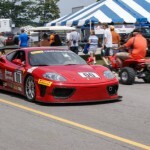 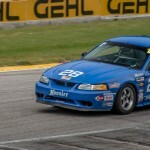 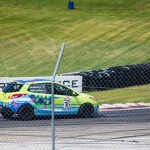 So, if you are keeping score, a first place at Brainerd International Raceway and a third place at Road America! 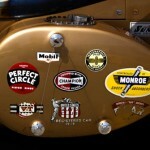 More importantly, The Miracles Of Mitch message was embraced by everybody that came near the car. 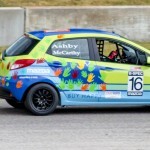 We experienced children placing their hands on the hand prints placed on the car by children with cancer as an act of solidarity. 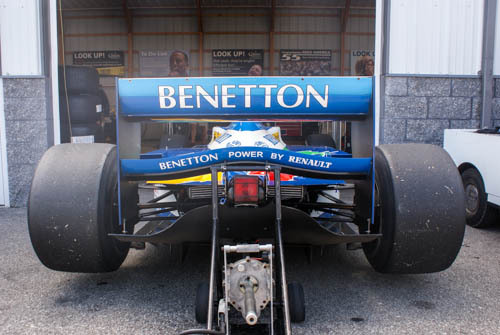 Numerous fans had their picture taken with the car and other drivers and crew approached us at the end of the event to thank Michael and the crew for the show they put on. 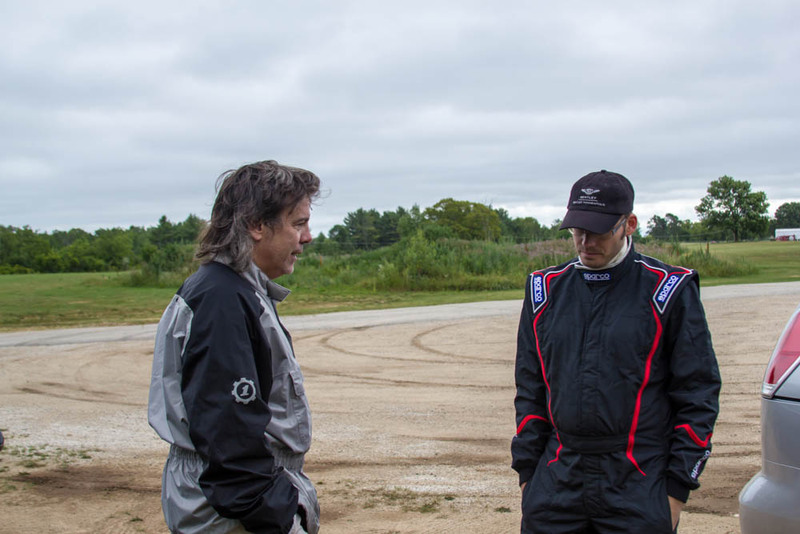 It was flat out racing and NOTHING was left on the table during Michael’s terrific drive. 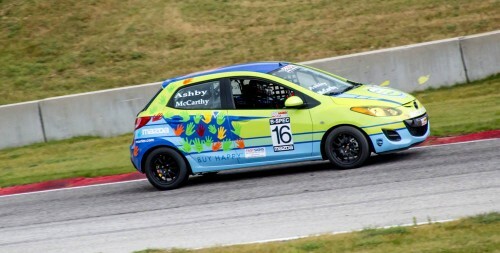 Shortly, the car goes to California for the Pro World challenge race! 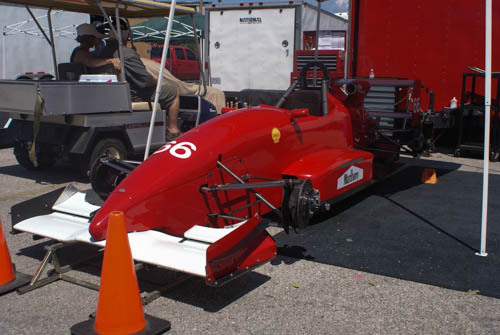 There, we expect a huge field of competition from all over the country. As usual, the little Morrie’s Mazda/Miracles Of Mitch Mazda 2 has made us all winners before we even get to the track by helping to raise money and awareness for the Miracles of Mitch foundation. 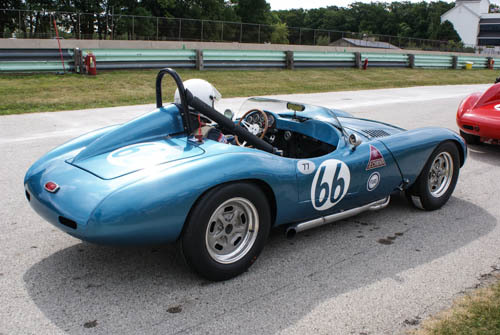 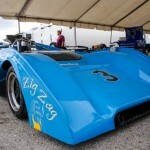 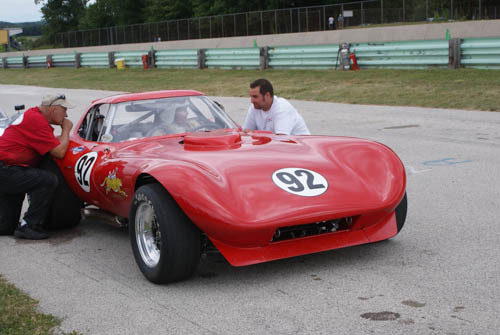 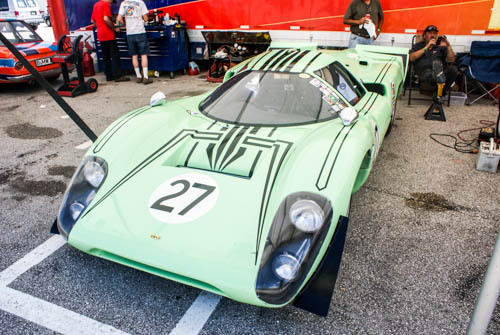 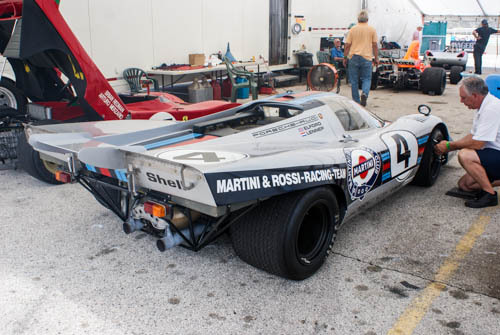 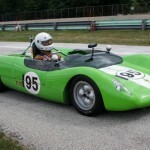 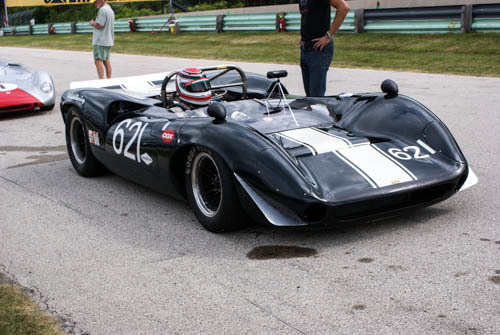 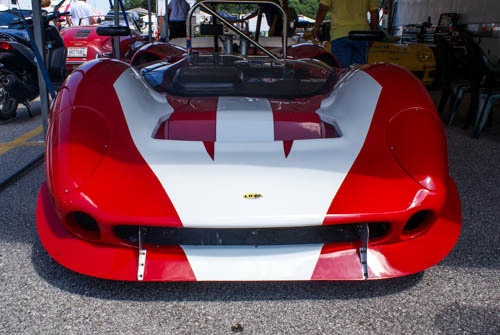 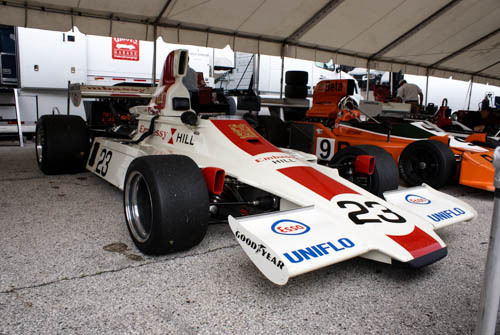 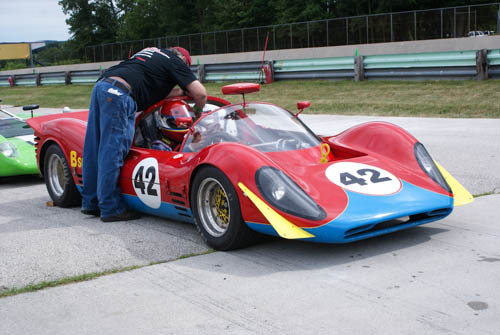 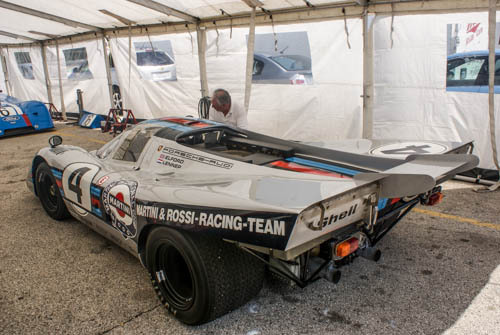 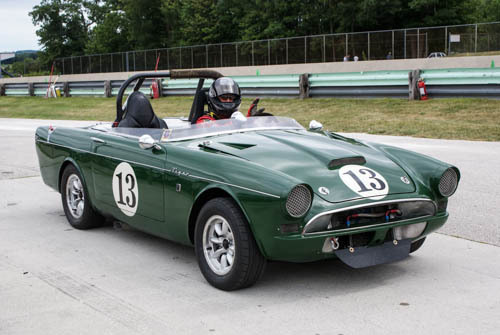 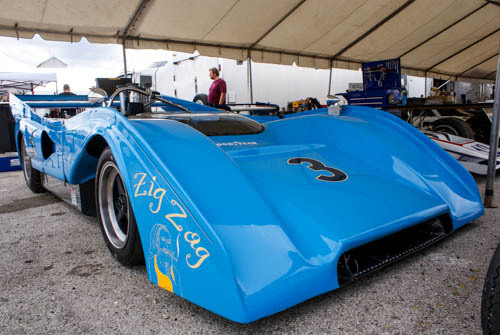 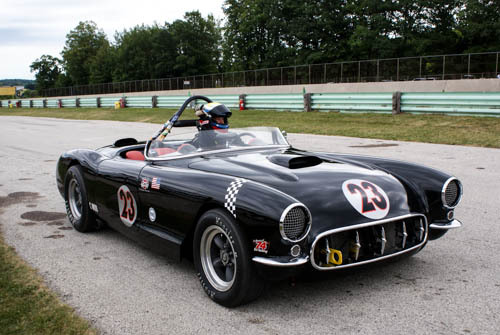 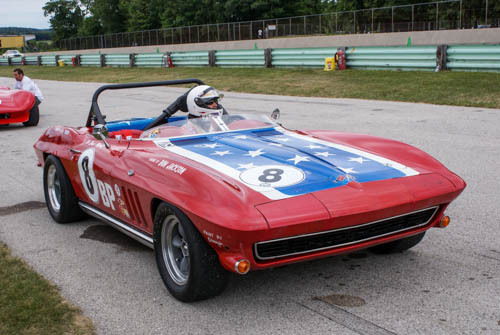 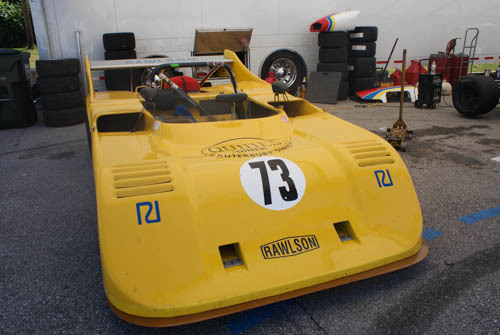 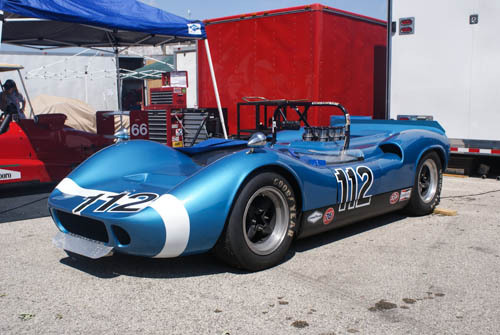 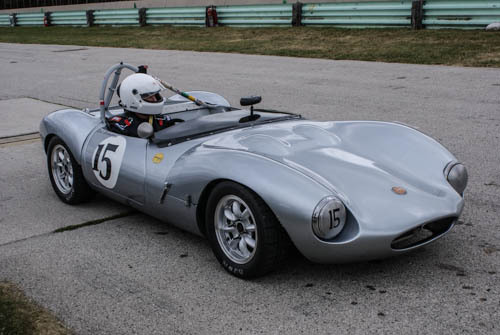 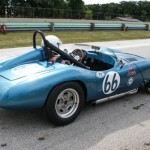 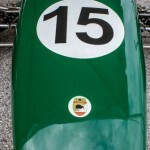 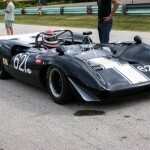 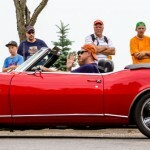 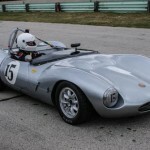 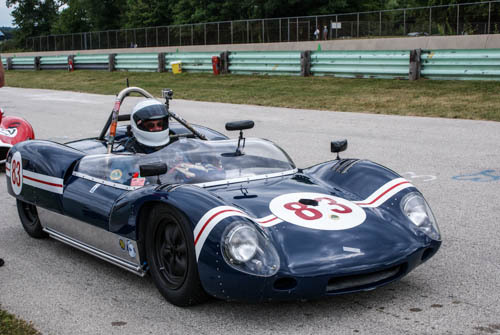 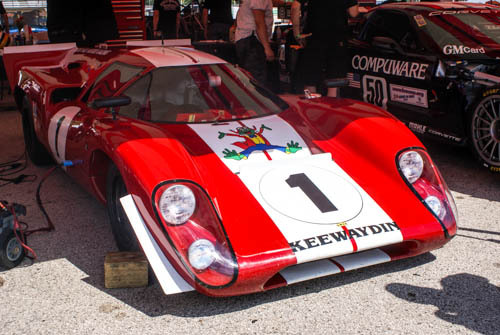 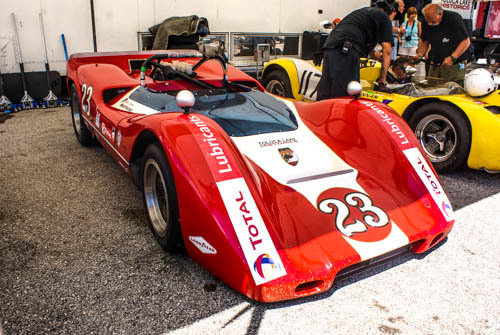 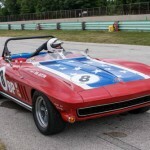 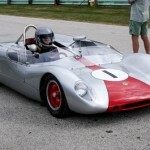 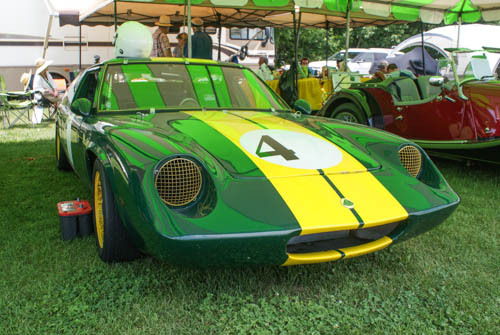 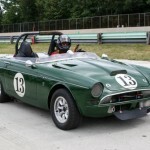 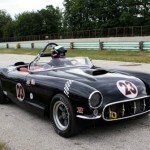 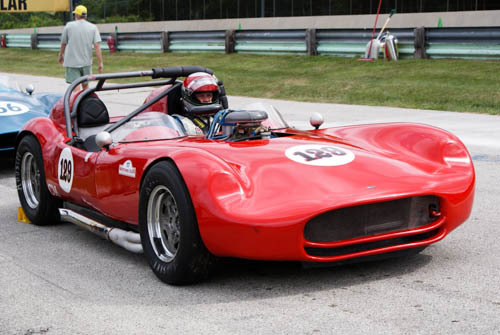 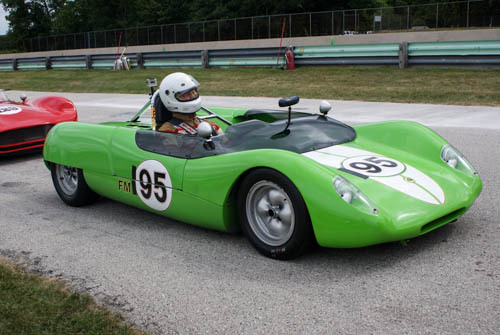 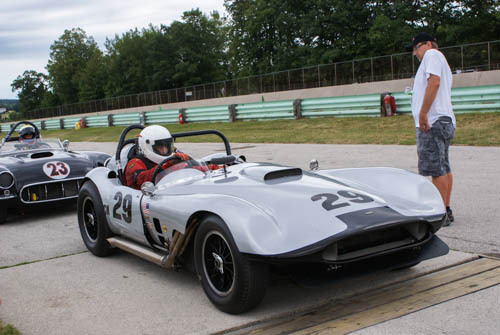 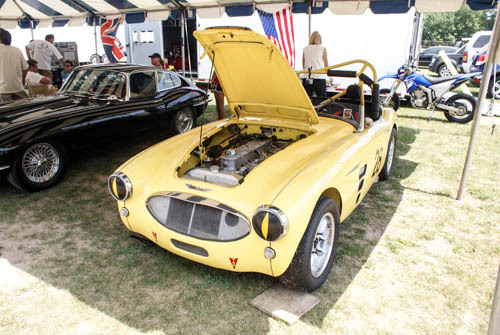 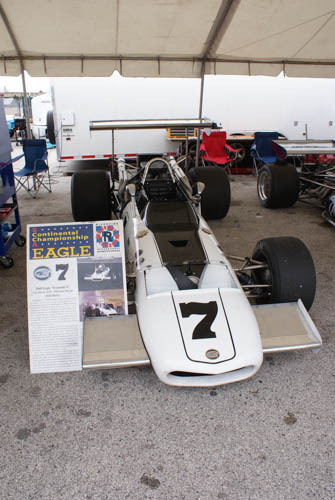 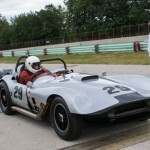 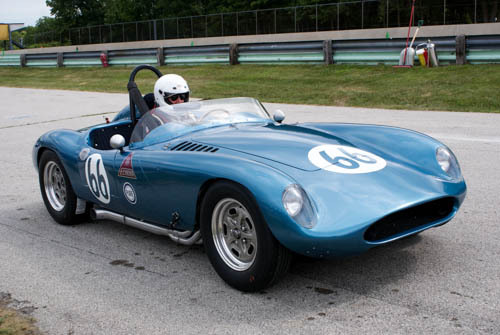 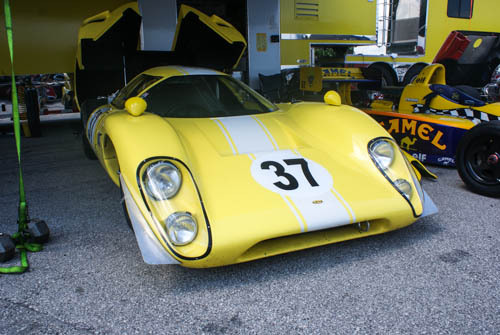 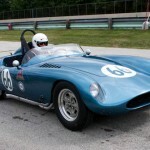 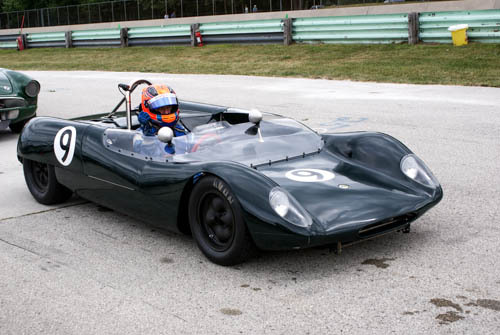 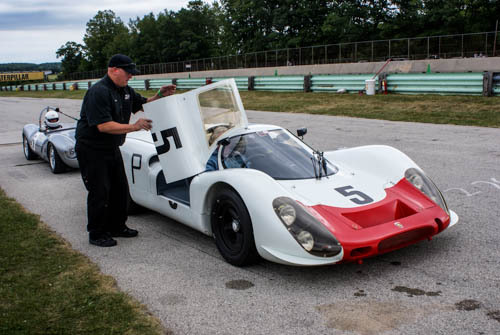 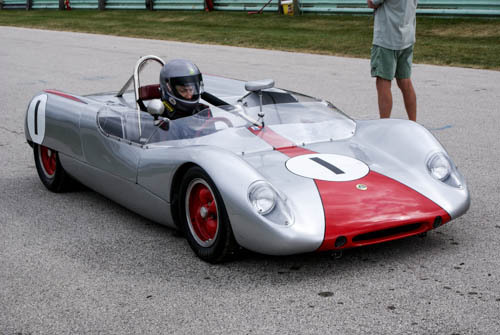 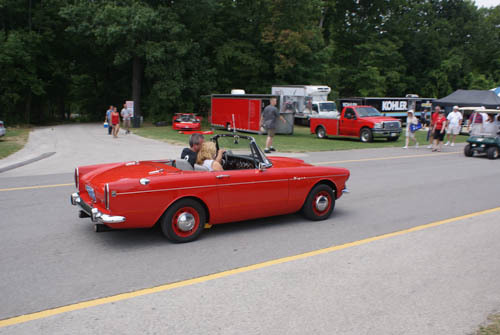 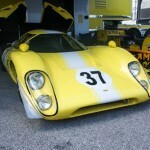 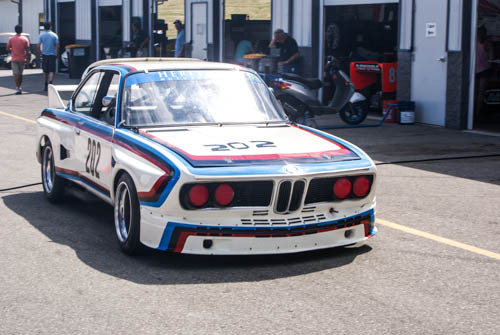 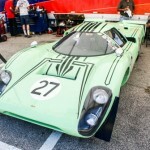 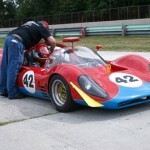 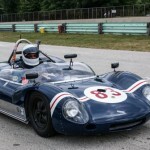 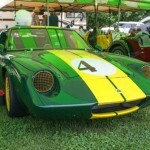 Every July vintage racers and automotive enthusiasts make the pilgrimage to Road America for the Hawk Vintage Races with Brian Redman. 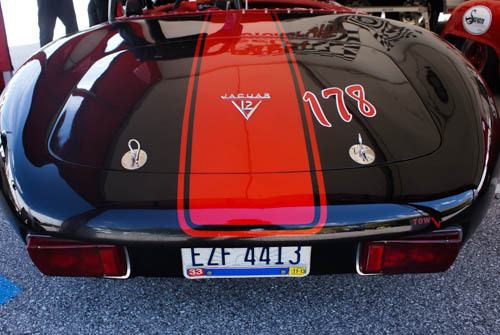 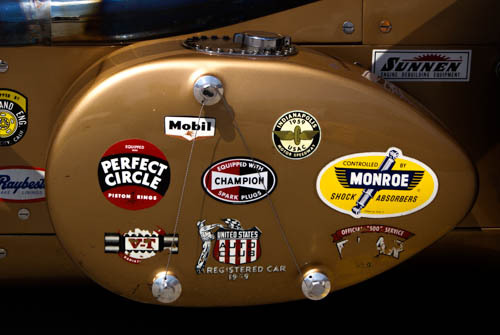 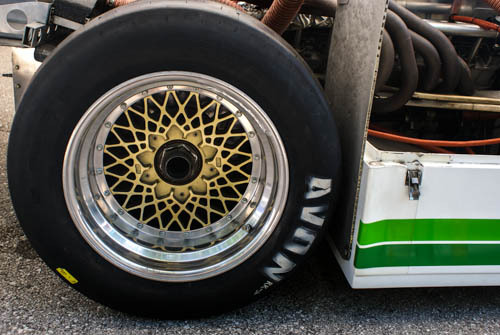 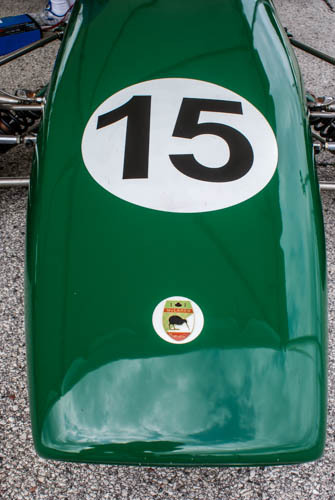 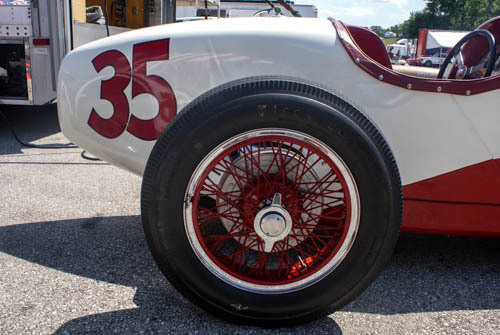 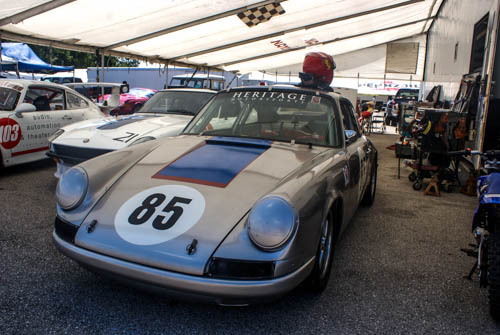 Arguably one of the nation’s greatest vintage auto racing events, The Hawk brings together over 450 races cars spread across 10 race groups. 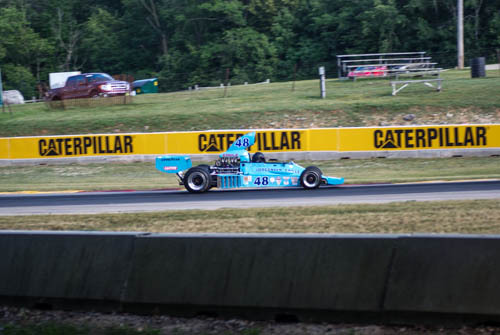 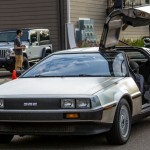 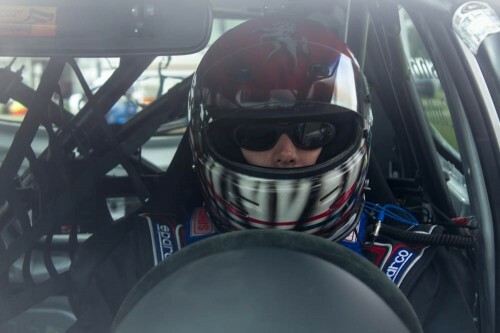 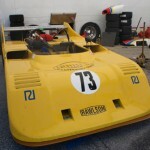 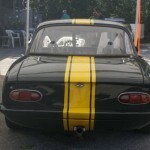 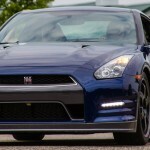 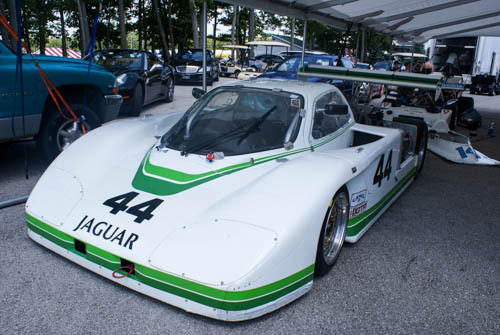 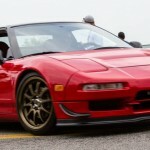 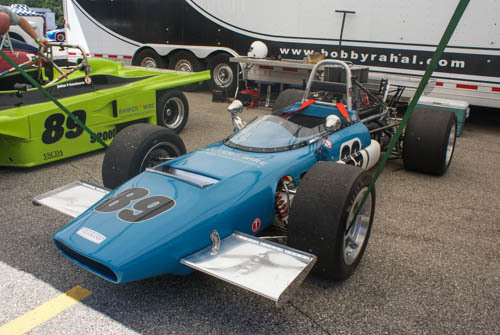 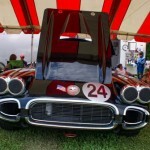 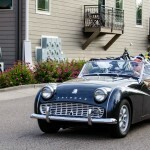 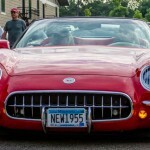 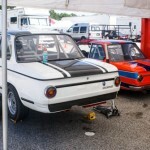 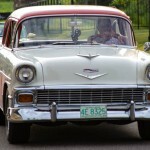 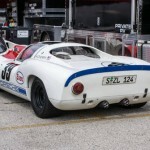 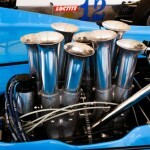 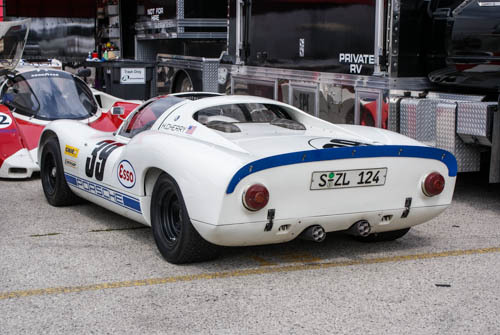 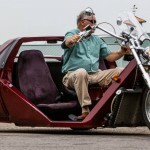 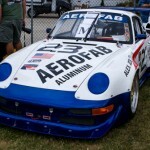 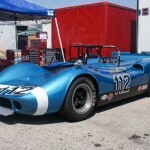 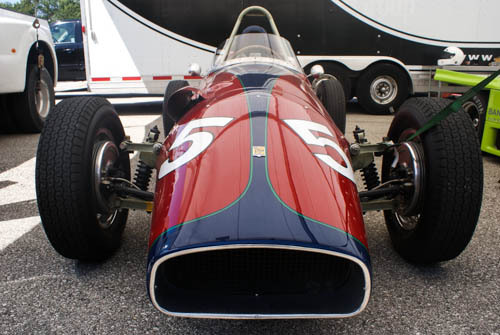 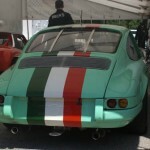 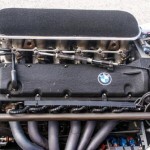 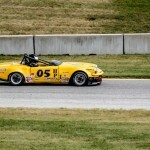 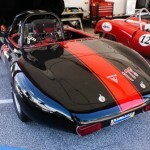 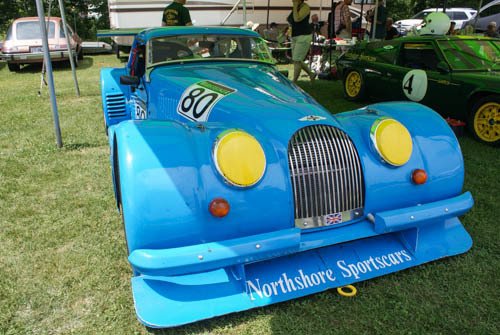 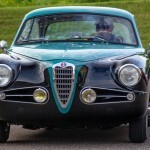 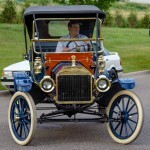 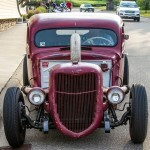 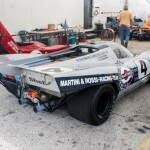 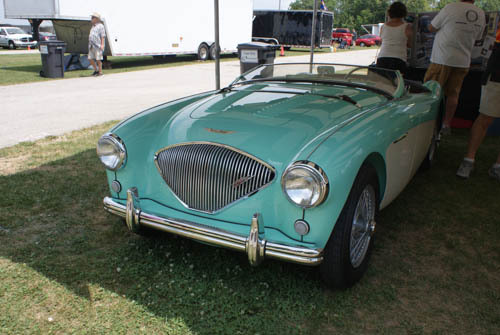 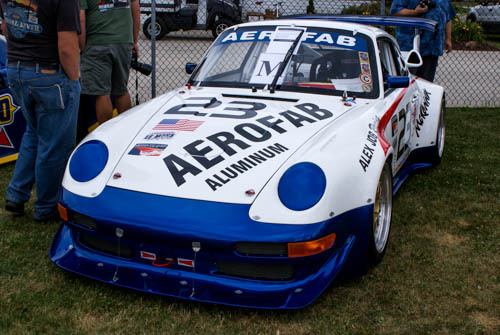 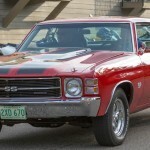 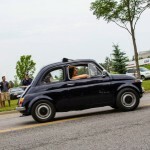 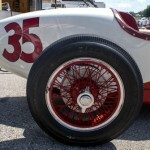 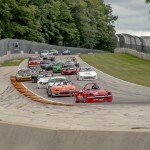 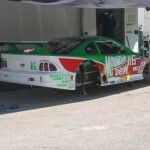 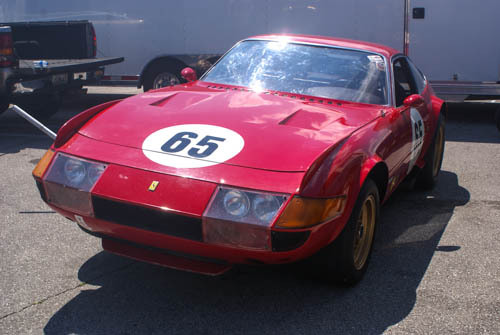 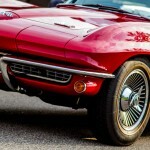 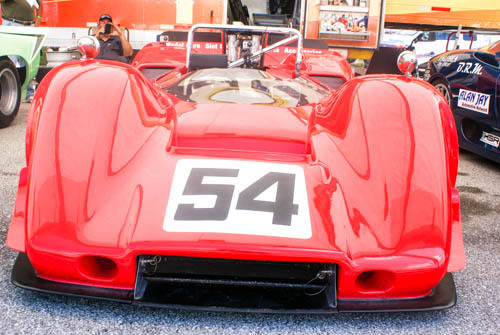 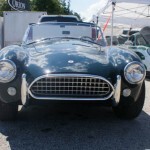 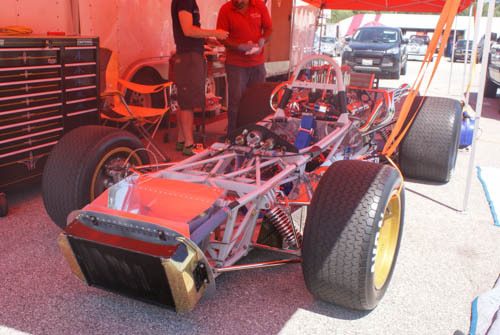 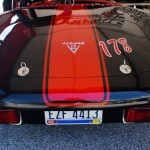 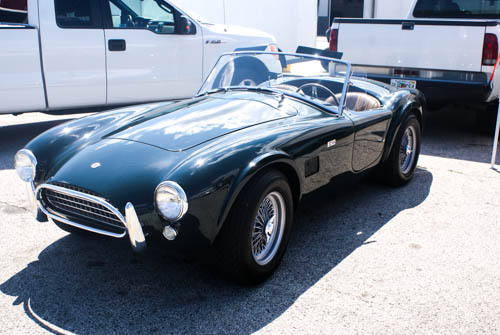 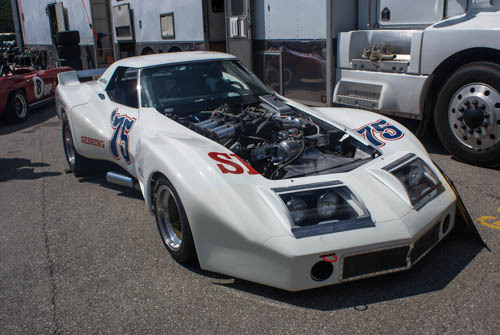 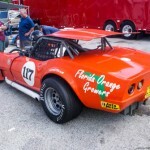 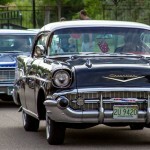 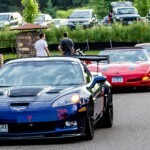 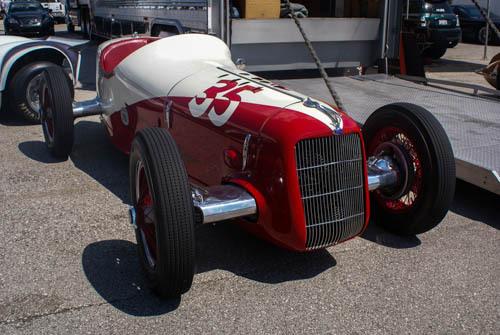 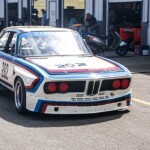 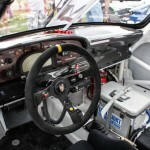 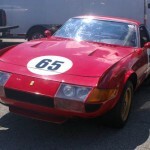 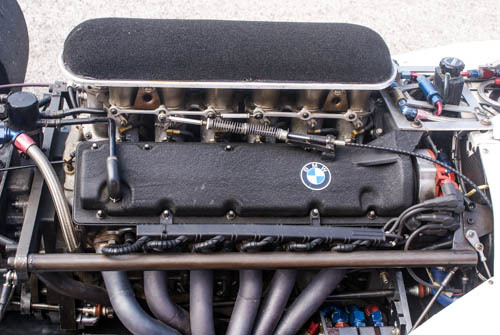 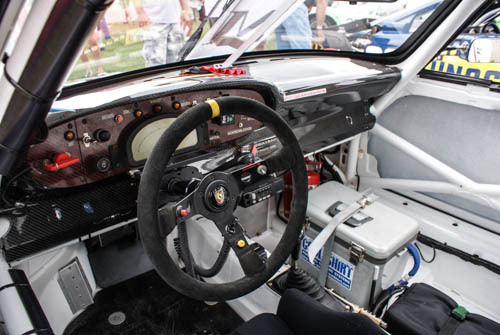 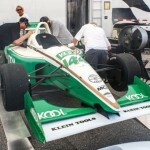 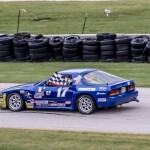 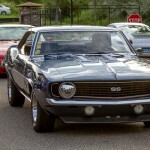 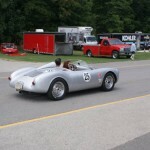 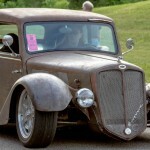 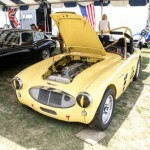 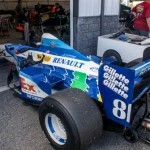 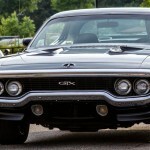 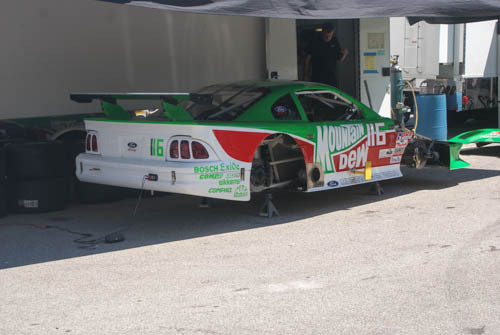 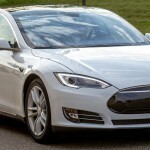 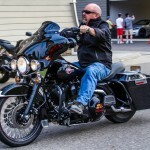 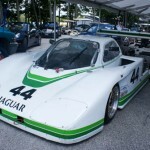 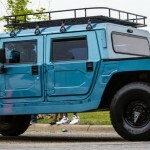 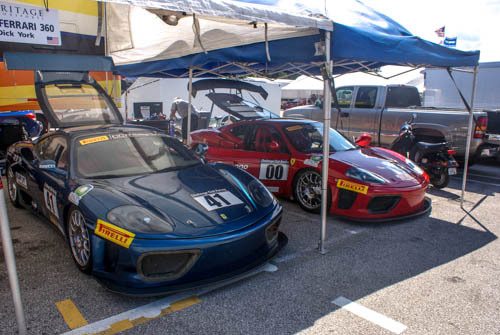 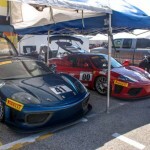 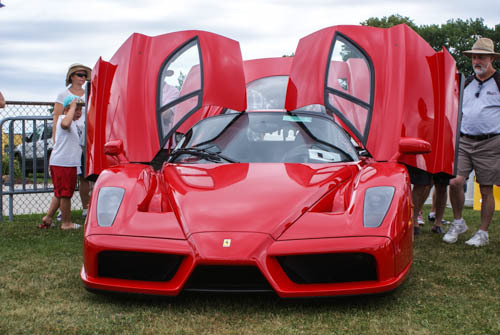 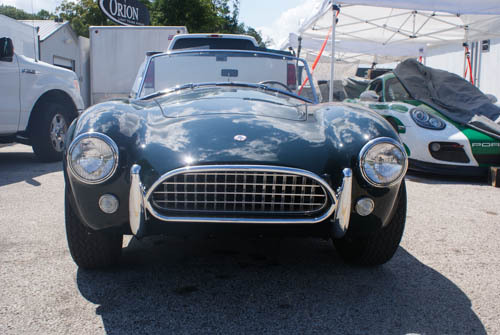 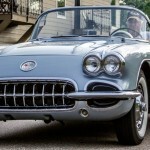 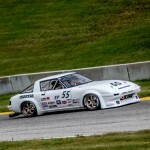 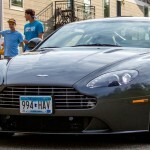 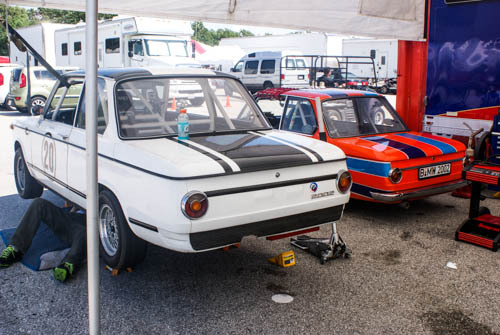 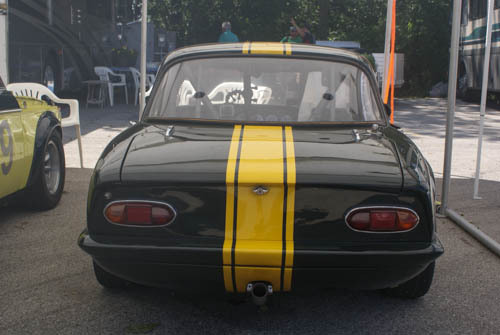 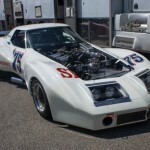 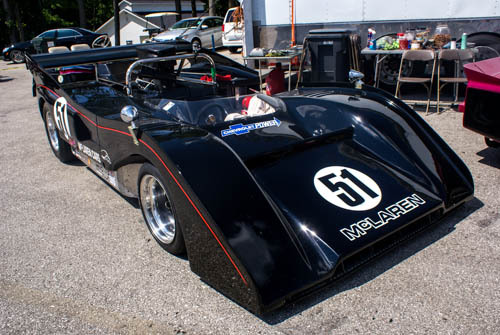 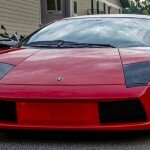 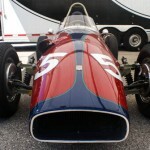 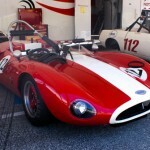 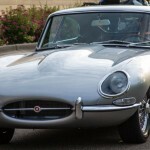 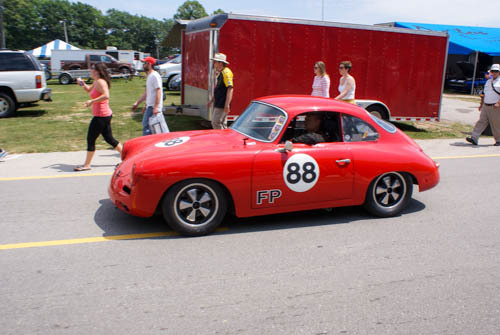 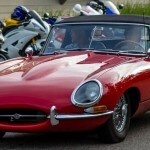 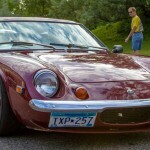 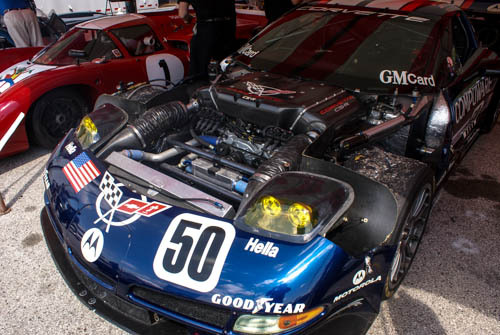 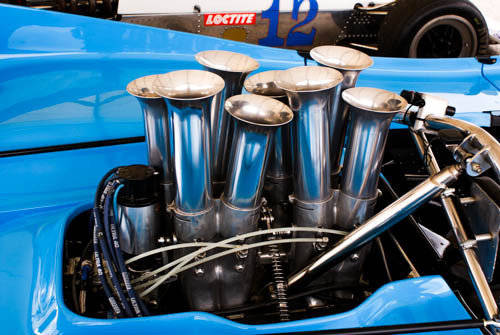 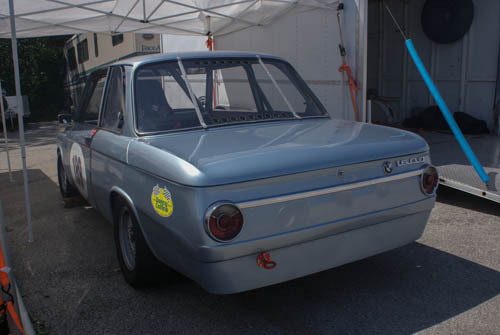 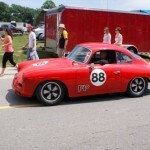 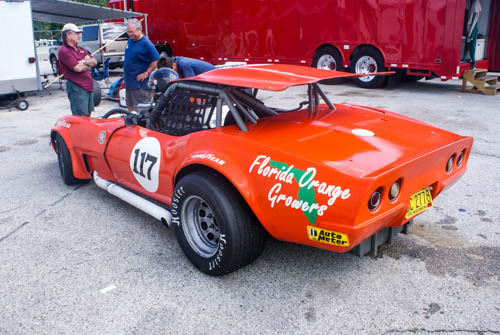 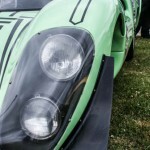 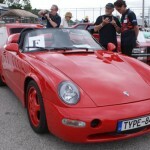 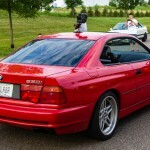 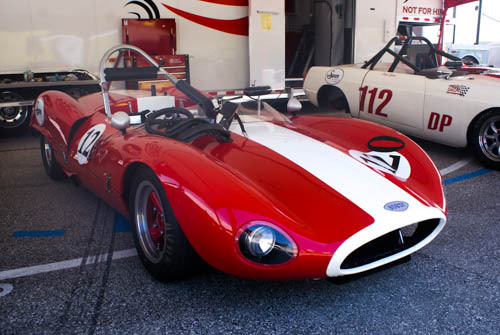 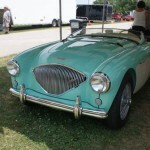 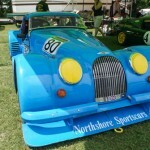 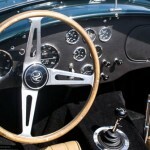 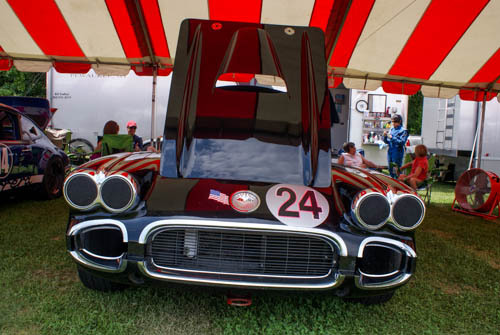 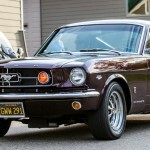 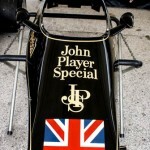 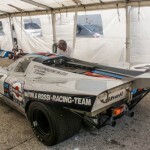 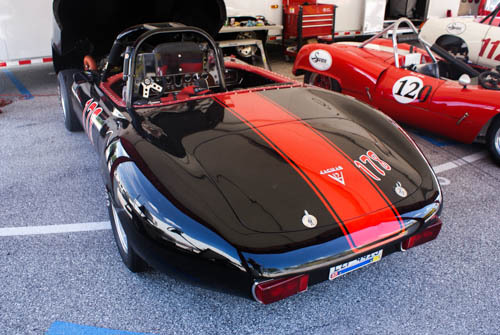 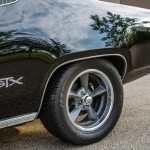 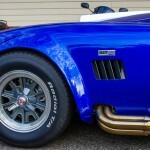 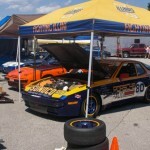 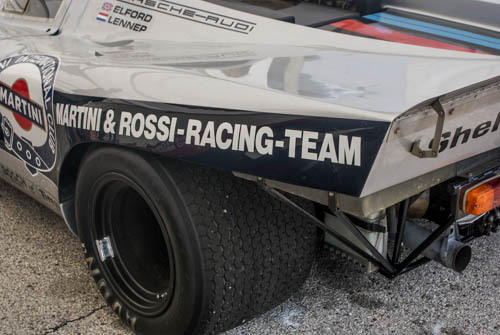 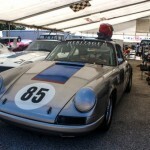 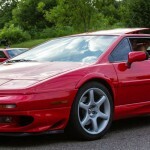 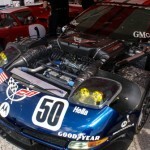 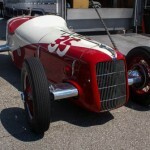 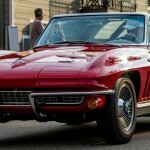 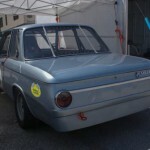 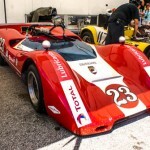 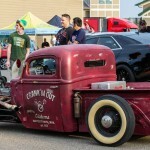 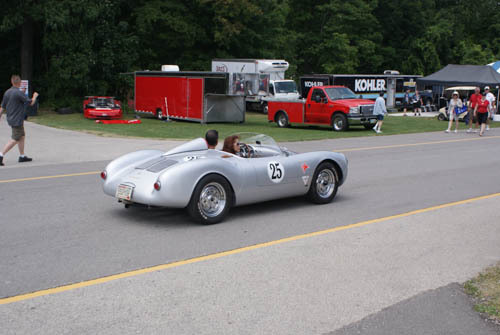 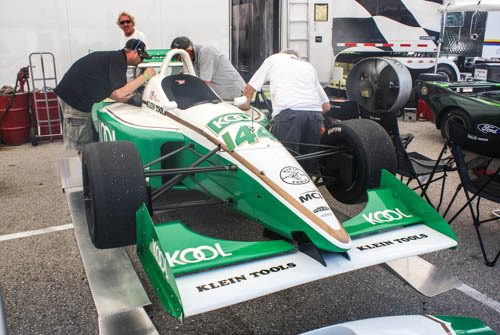 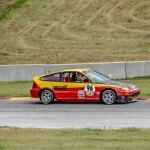 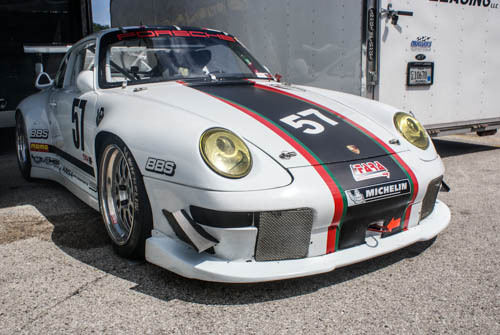 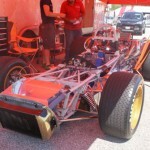 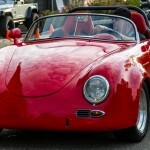 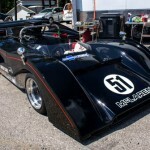 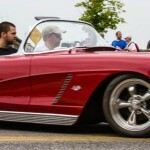 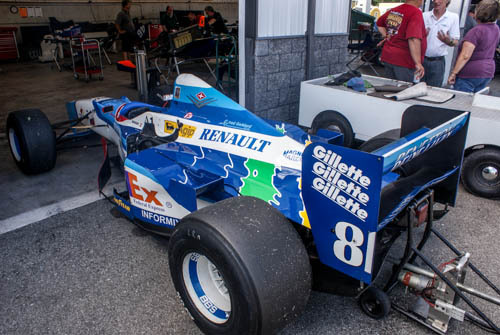 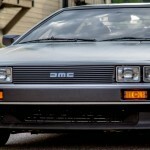 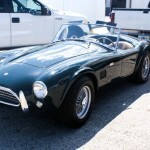 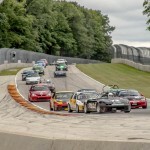 Whether you like early fifties production cars, late-model Formula 1 cars or anything in-between there is certainly a number of cars to get engine racing at this event. 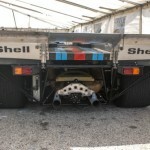 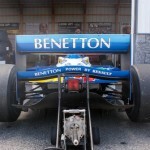 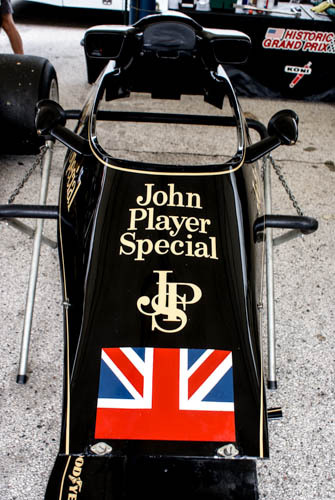 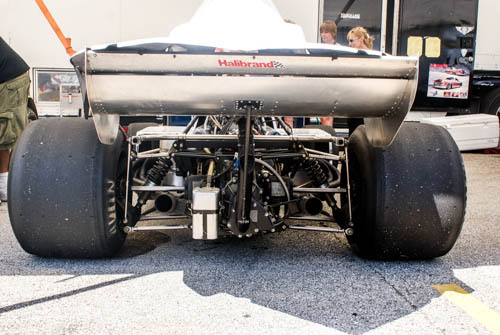 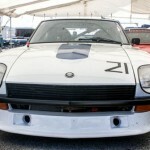 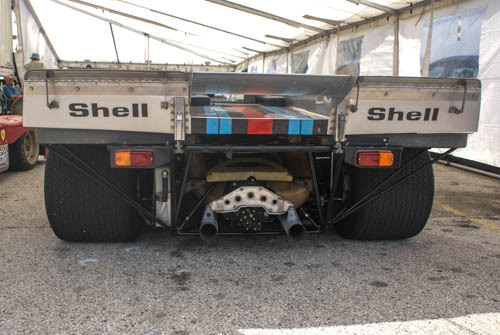 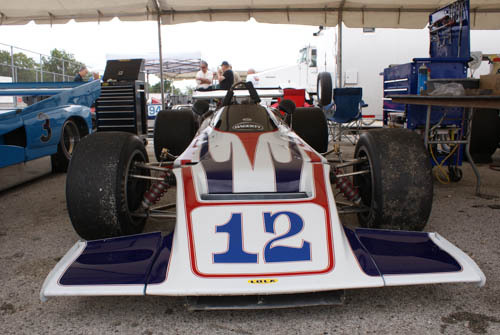 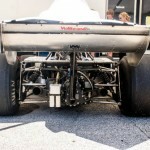 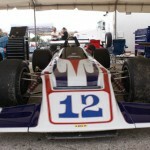 Below you will find a small snapshot of the impeccably prepared race cars that were in attendance. 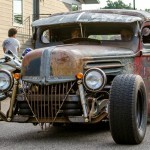 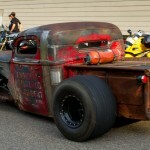 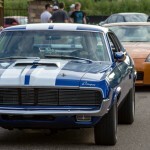 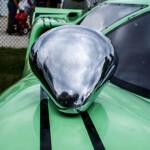 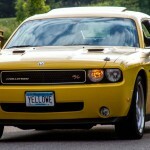 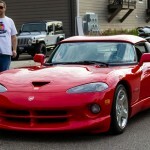 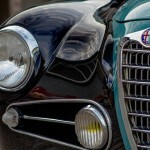 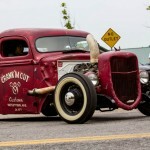 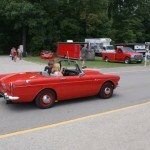 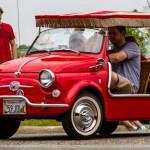 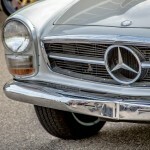 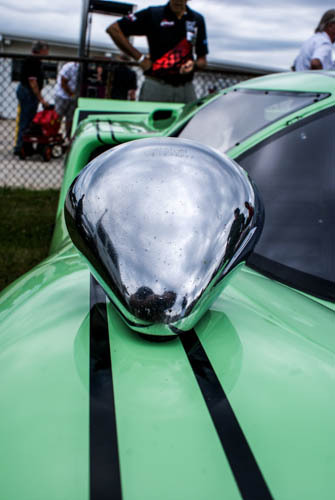 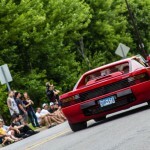 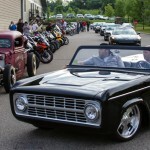 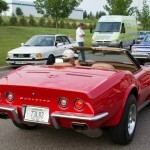 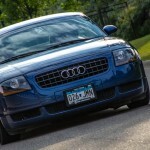 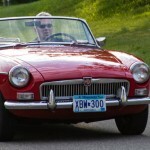 If you have never attended it is certainly something you should add to your automotive bucket list. 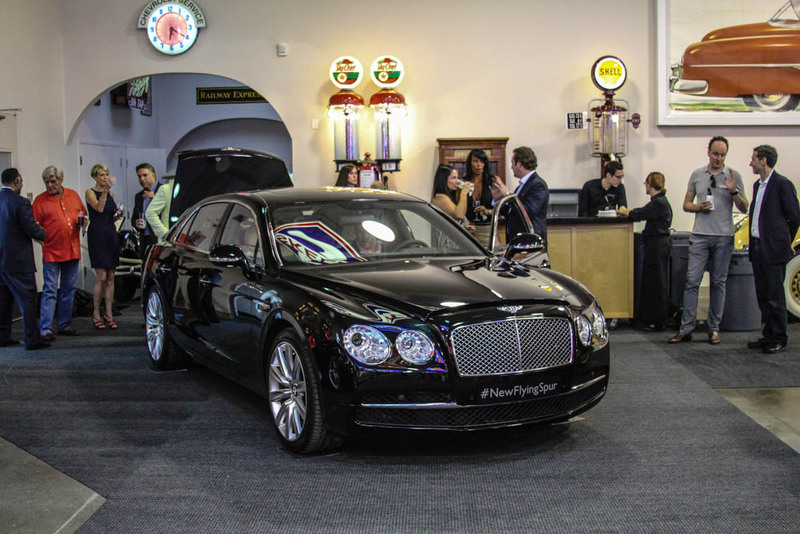 Last week we got a sneak peek at the all-new Bentley Flying Spur when it made a surprise appearance here at Morrie’s Luxury Auto. 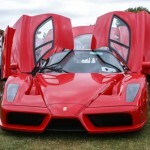 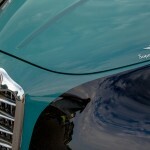 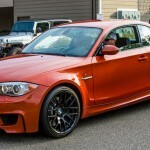 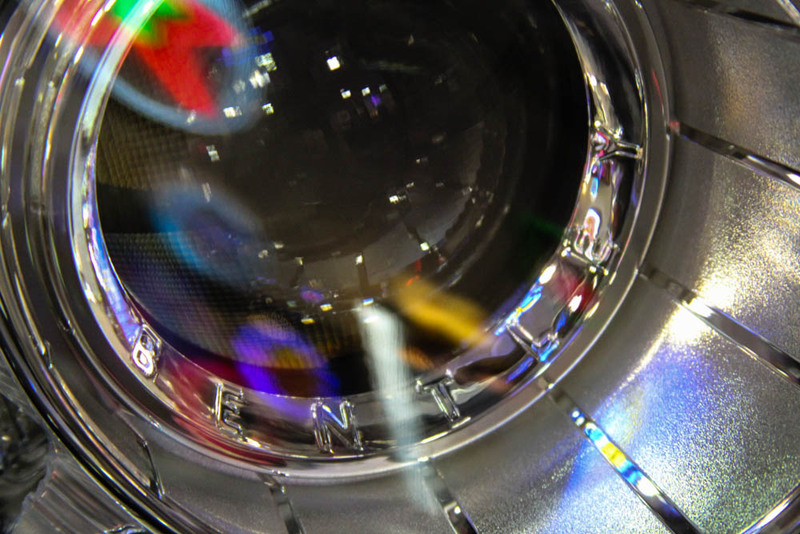 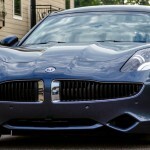 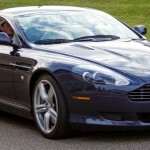 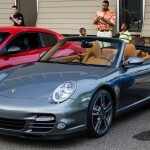 We had been anxiously awaiting its arrival since we first laid eyes on it at the New York International Auto Show. 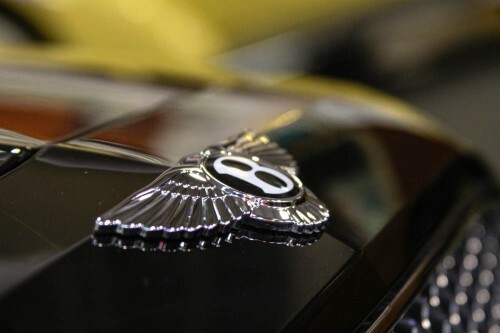 The redesigned Flying Spur is equipped with more standard horsepower. 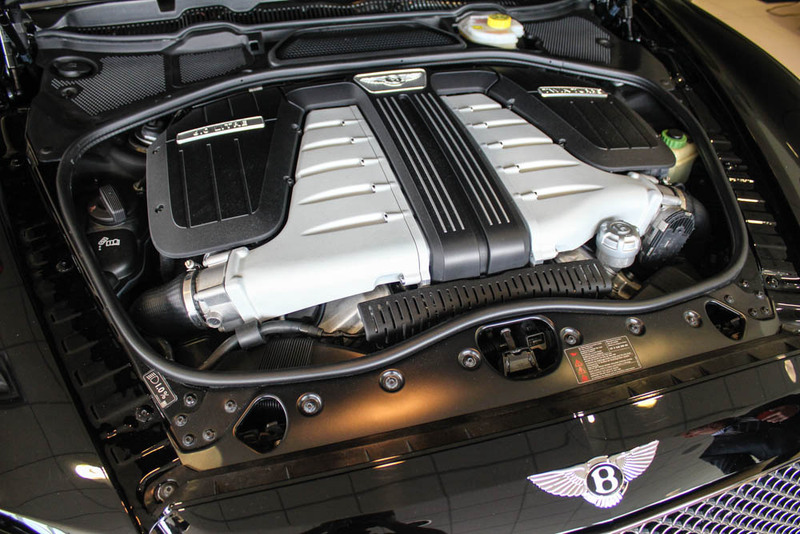 Additional power and reduced weight allow this twin turbocharged 6.0 W12-liter engine to achieve 0-60mph in just 4.3 seconds and on to a top speed of 200mph. 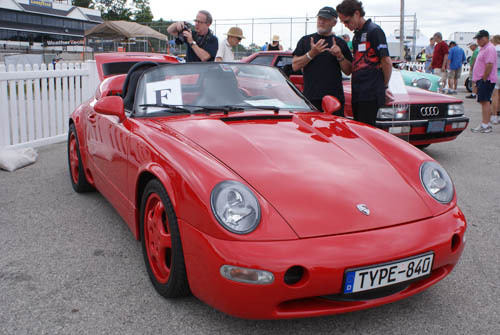 The exterior sports a lower roofline profile, sharper lines and rounded surfaces that make it appear lower and wider than its predecessor. 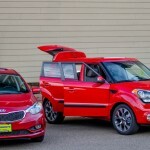 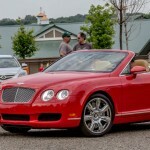 This Sleek new vehicle embraces styling queues from Bentley’s Mulsanne & Continental GT models. 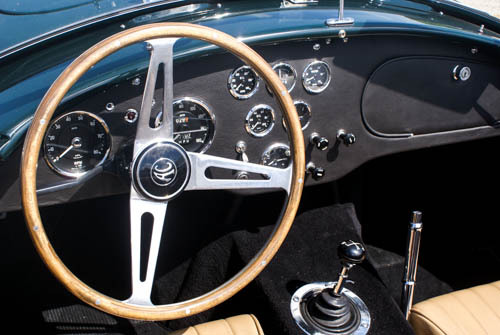 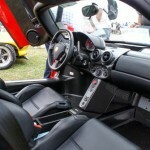 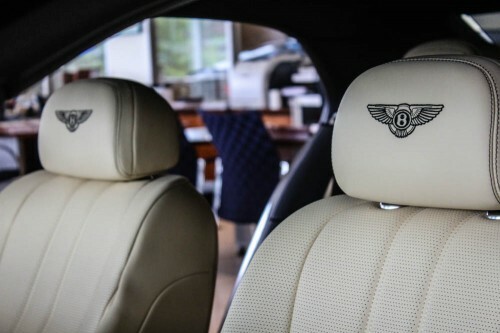 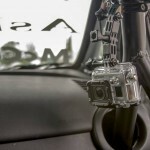 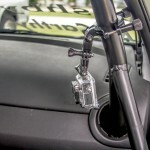 The interior of this vehicle also received a makeover with comfort and luxury in mind. 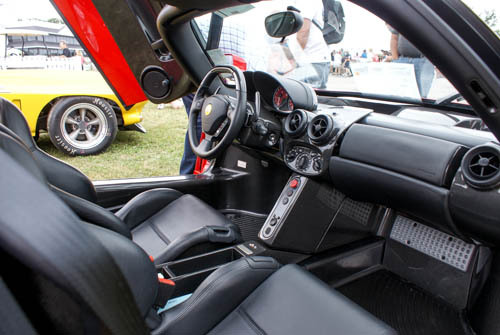 The spacious interior cabin provides the latest in comfort, luxury and technology with over 600 new components. 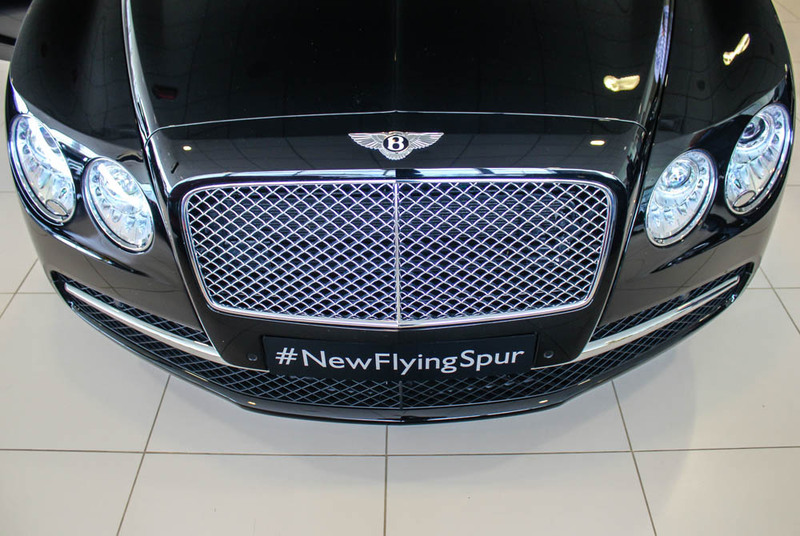 A 64-gb hard drive, an 8-channel, 8-speaker audio system, Wi-Fi hot spot, wireless headphones, and two rear mounted infotainment systems are just a few of the technology features you will discover in the redesigned Flying Spur. With a mixture of comfort, luxury, technology and performance, the all-new Bentley Flying Spur is sure to bring you the ultimate driving experience. 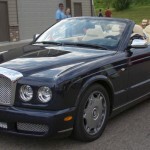 We were very excited to get a closer look at the all-new redesigned Bentley Flying Spur in person and we look forward to having inventory available Fall 2013. 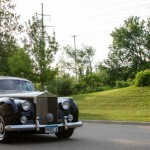 For any additional information, please call us at 952-797-1777. 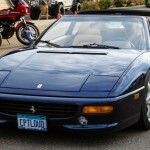 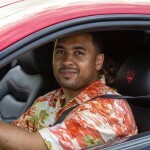 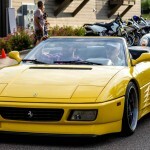 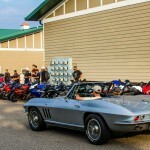 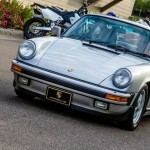 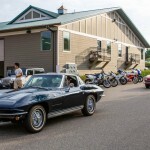 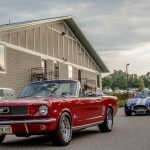 July has historically been the busiest month during the Cars and Coffee season at the Automotorplex and this year was no different. 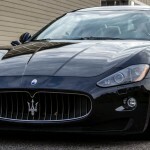 We were excited to bring out a number of cars from Morrie’s Luxury Auto, but we knew the show-stopper would be the all-new 2014 Maserati Quattroporte. 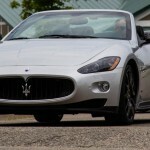 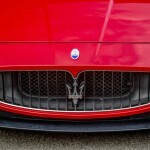 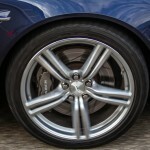 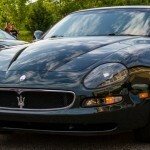 As expected, the redesigned Quattroporte drew quite the crowd and gained a lot of attention. 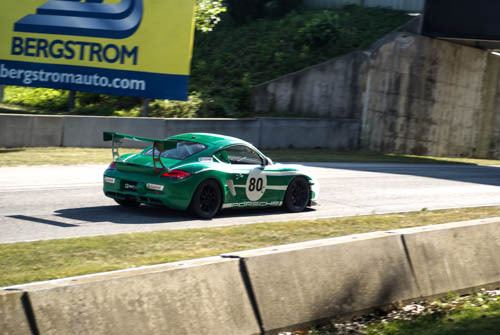 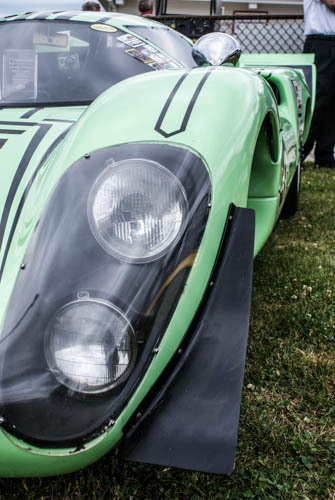 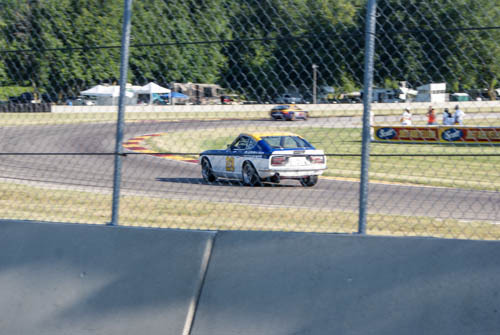 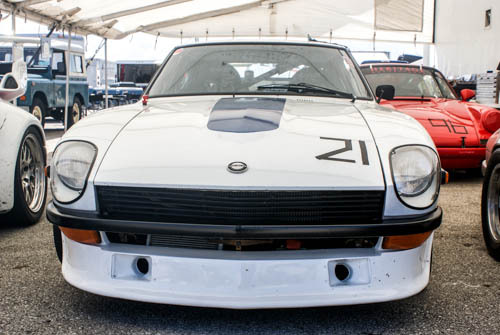 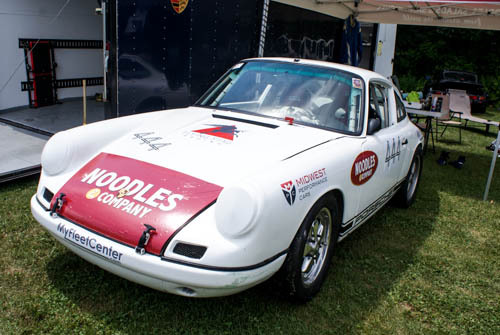 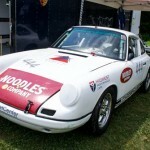 But spectators made sure to also get a peek at the other vehicles that we brought including the Mazda2 B-spec racecar build, the 2012 Maserati Granturismo MC and the 2011 Porsche 911 Turbo in Meteor Gray. 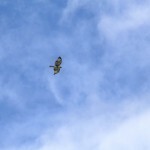 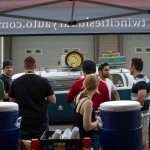 It was a beautiful day for the event and we were so pleased with the turnout. 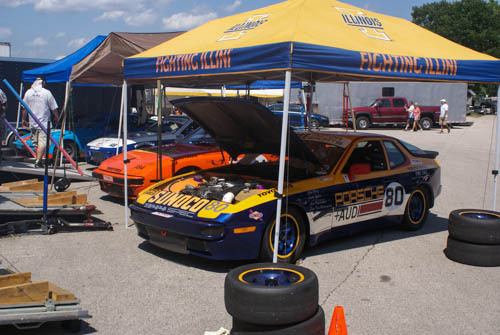 Make sure to stop by and see us during next months event!